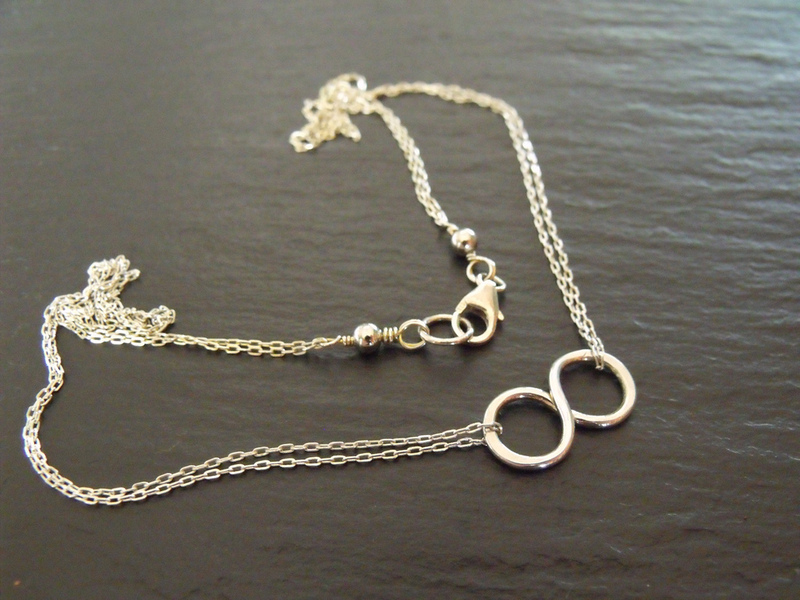 1 Sterling Infinity Necklace - send email. 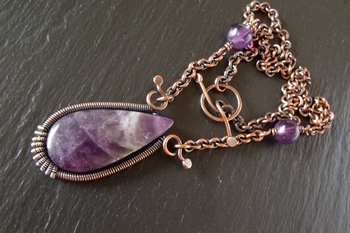 Amethyst Marquee SS & Bronze Pendant - send email. 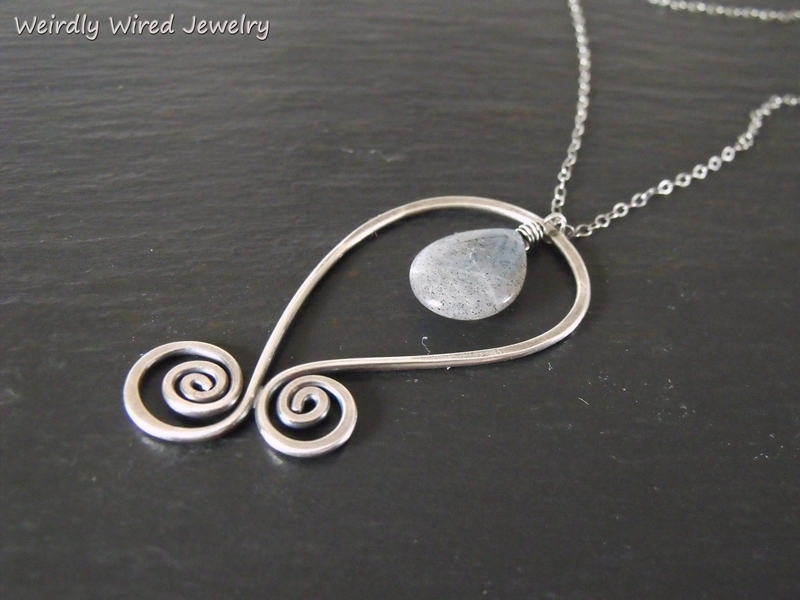 Apatite Circles Sterling Necklace - send email. Beadwire Infinity Necklace - send email. 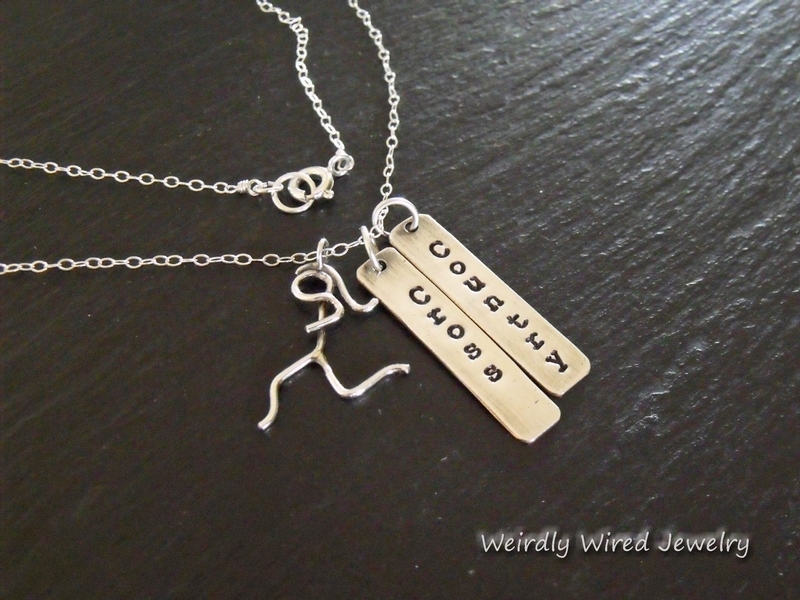 Cross Country Necklace - send email. Holiday Heroes 2014 Donation - send email. 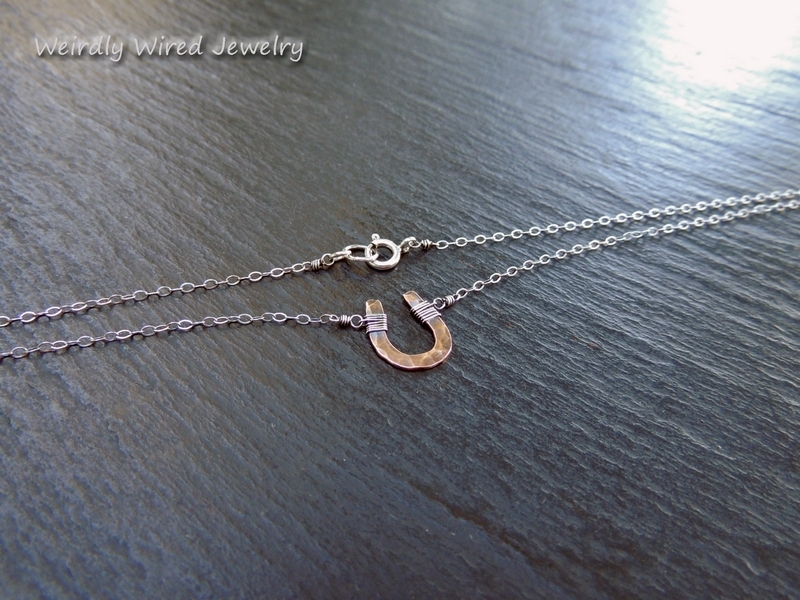 1 Copper Horse Shoe Necklace - send email. 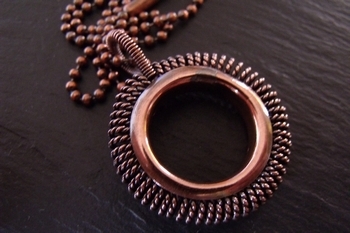 Copper Circle Ball Chain Necklace - send email. 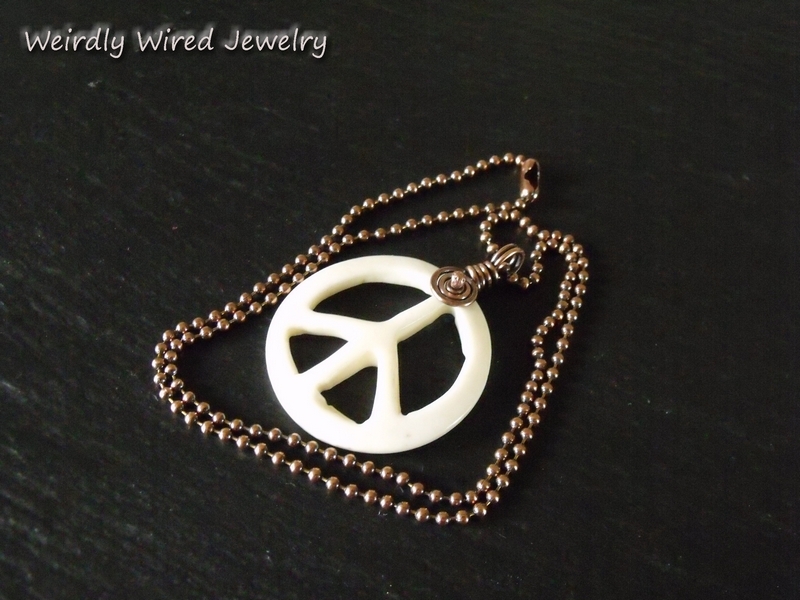 Carved Bone Peace Sign Necklace - send email. 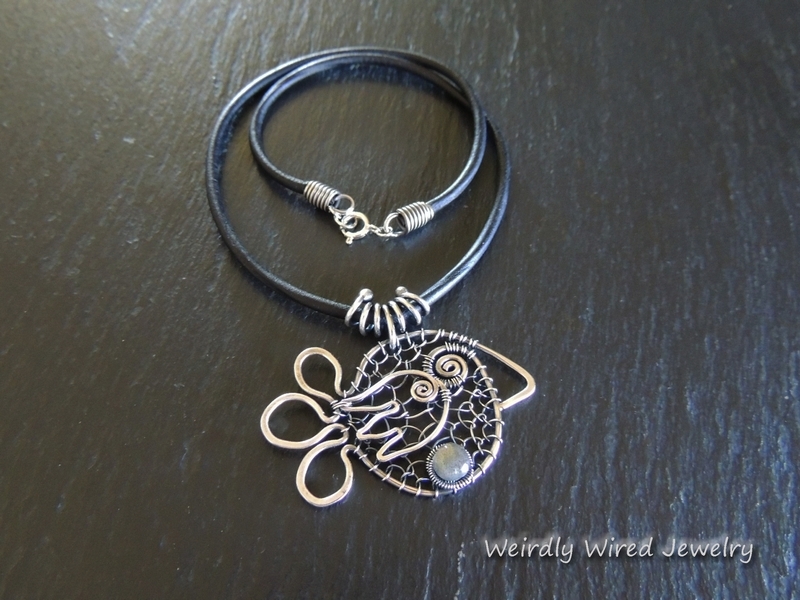 Sterling Wire Chicken with Labradorite - send email. 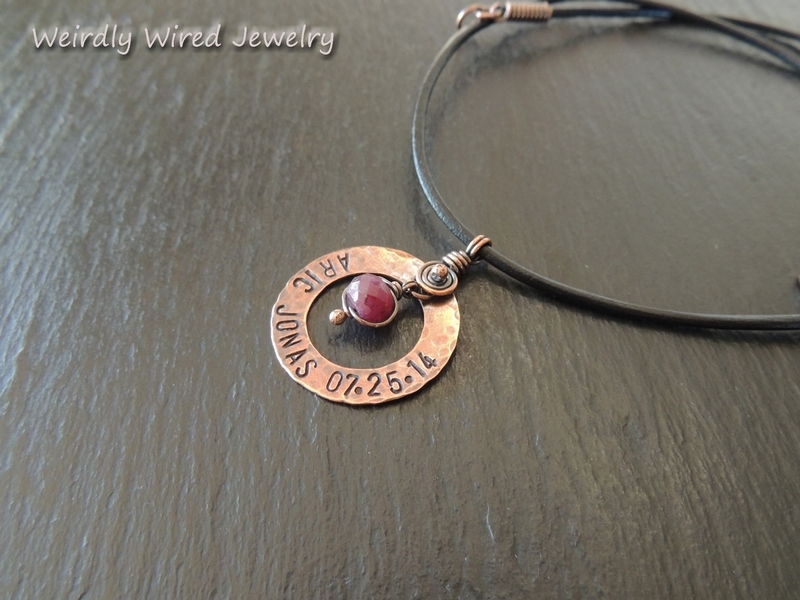 Copper Stamped Washer w/Birthstone-NP - send email. Mookiate SS Herringbone Necklace - send email. 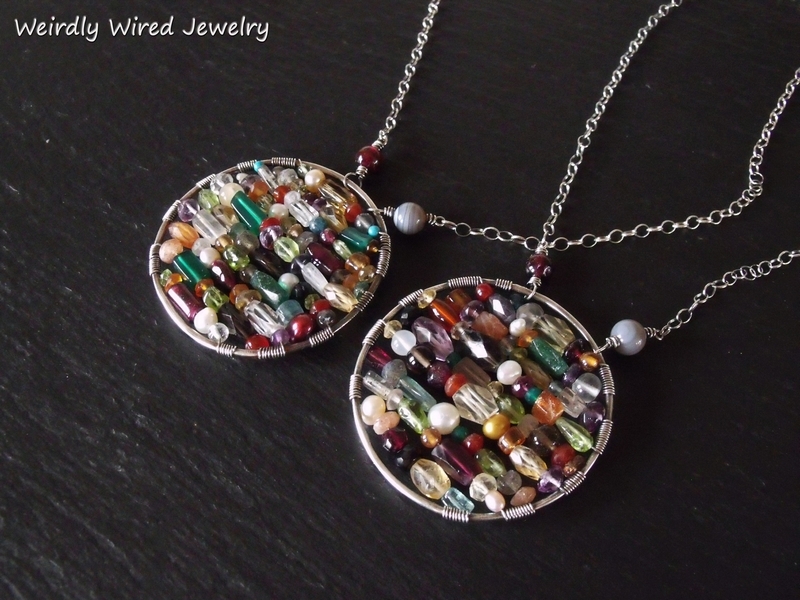 OOAK Lampwork FWP Pendant - send email. 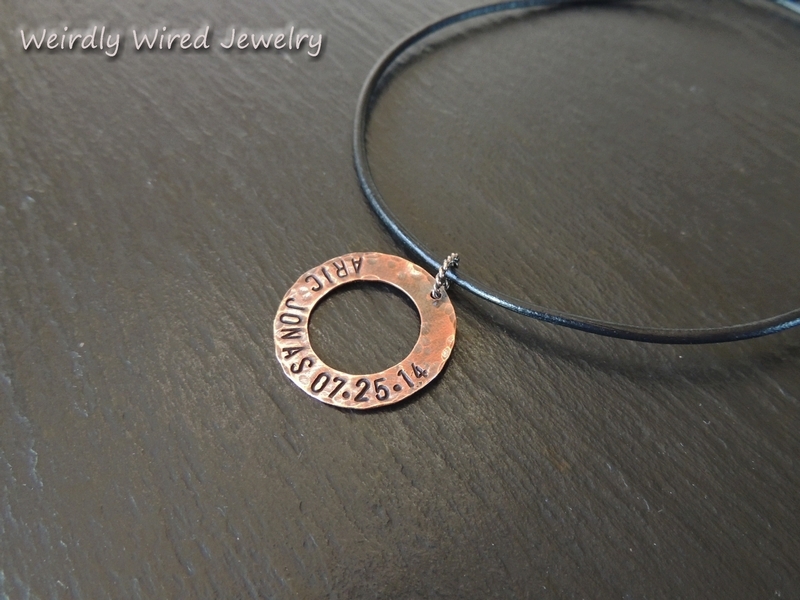 Stamped Copper Washer Dad's Necklace-NP - send email. 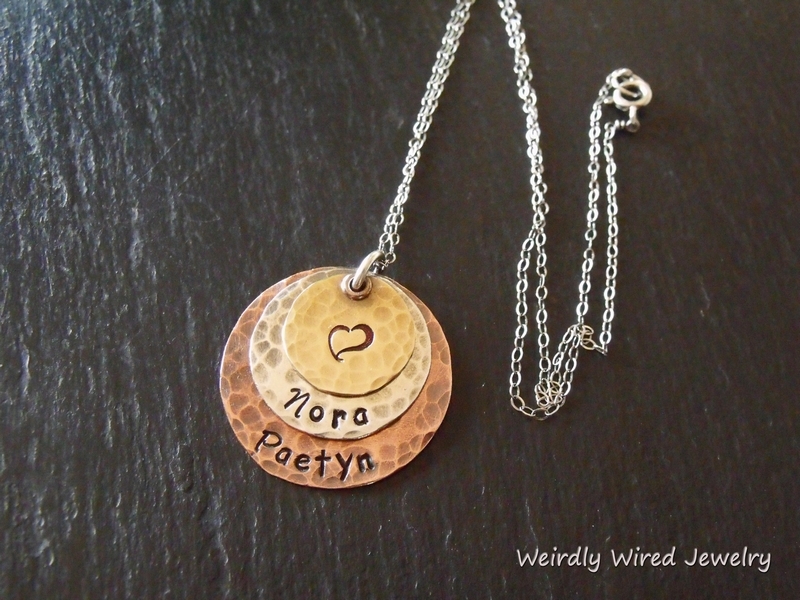 Stamped Rings Necklace - send email. 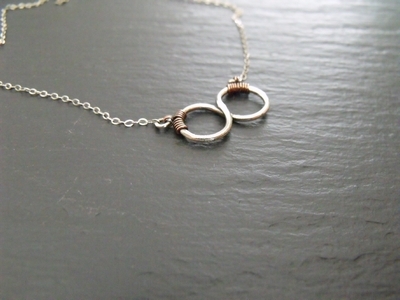 Three Ring Sterling Necklace - send email. Copper Chicken Labradorite Egg Pendant - send email. 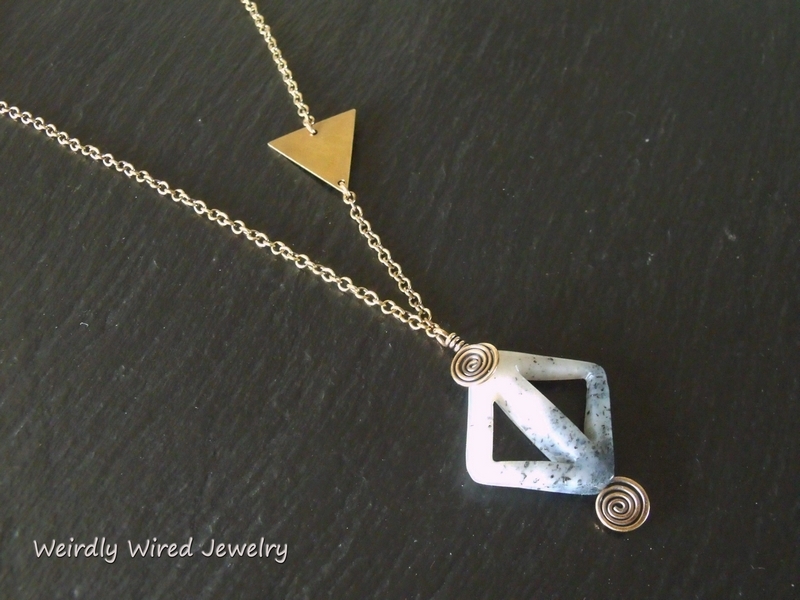 3 Brass Triangle Cut Out Jasper Necklace - send email. Asymmetrical Cut Out Jasper Necklace - send email. 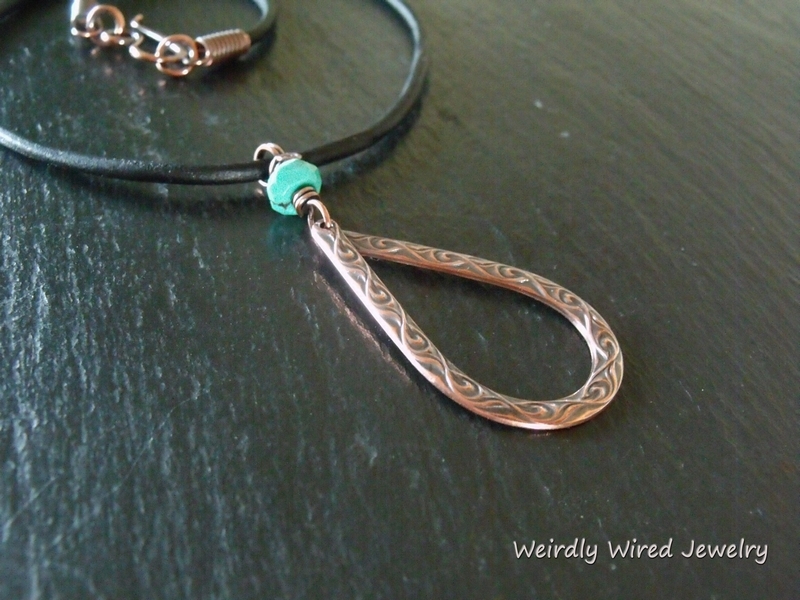 Patterned Copper Drop with Turquoise - send email. NP_Grandmother's Necklace with Stamped Charms - send email. 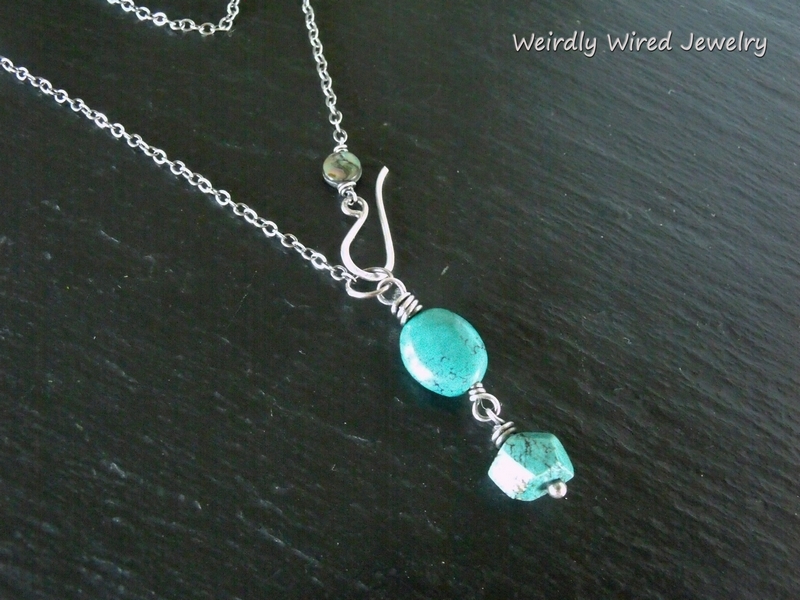 Sterling Turquoise Drops Necklace - send email. 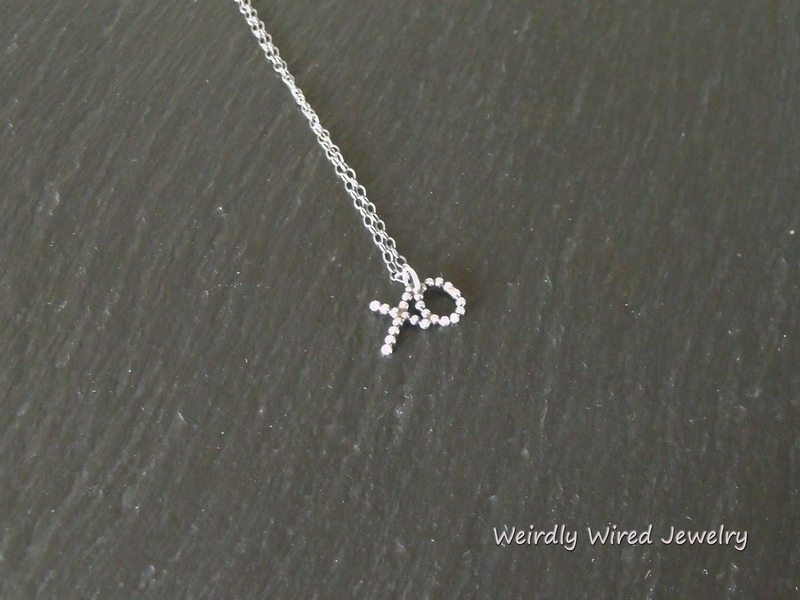 Tiny Sterling XO Necklace - send email. 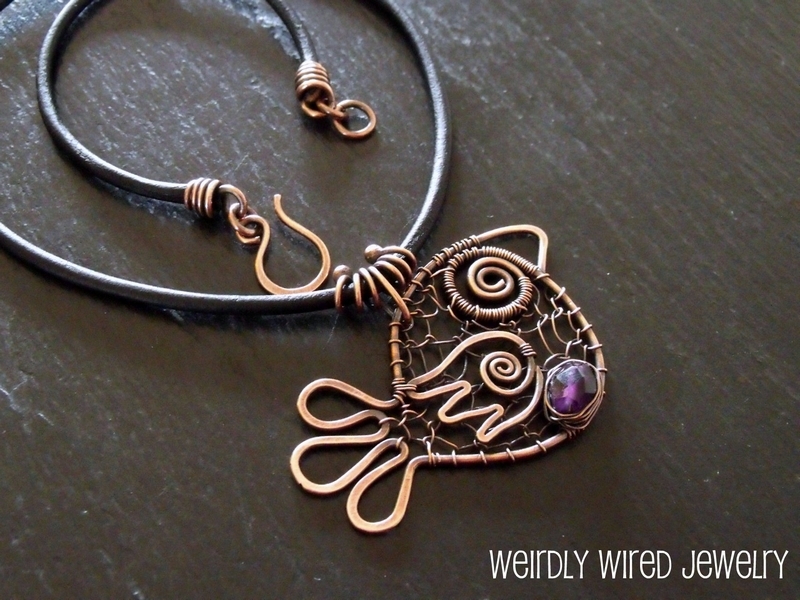 Wired Copper Chicken with Amethyst_CBC - send email. 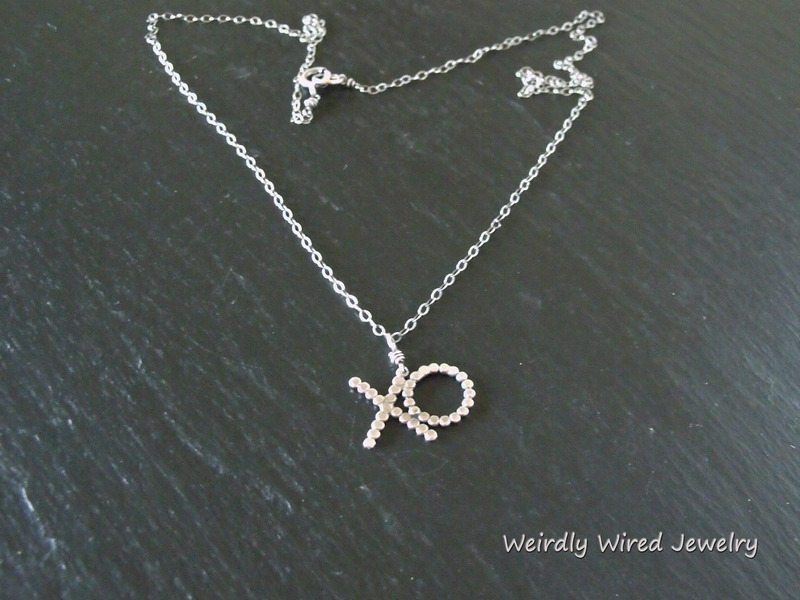 XO Sterling Hugs and Kisses Necklace - send email. 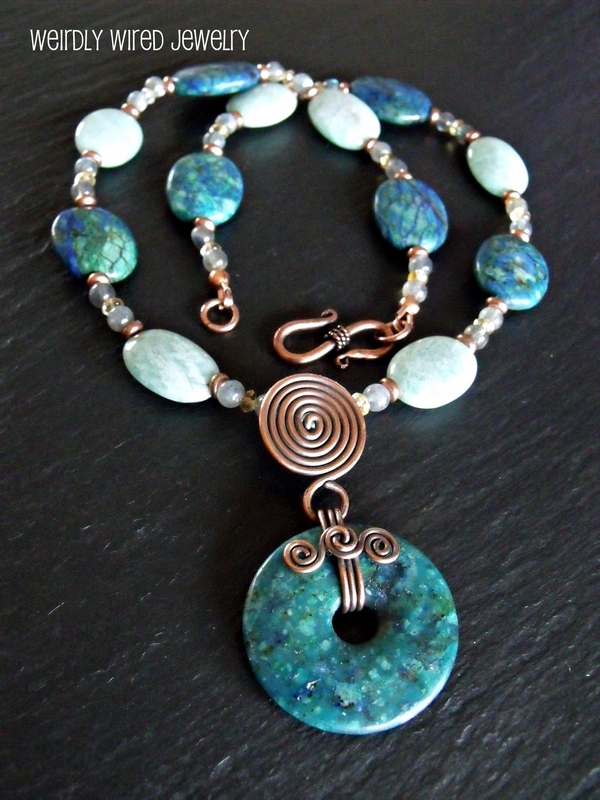 Copper Paisley Seraphanite Necklace - send email. 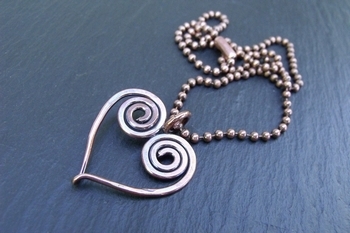 Copper Spiral front Hook Pendant - send email. 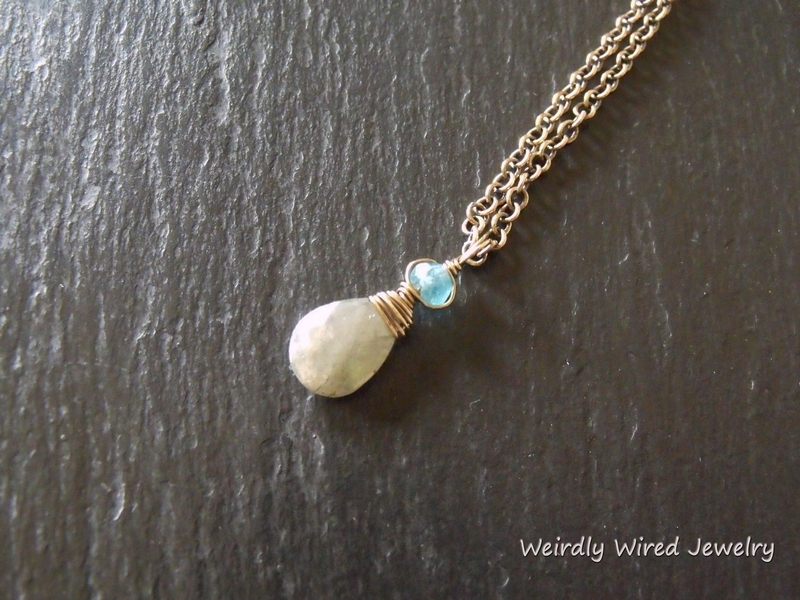 Labradorite, Apatite and Brass Necklace - send email. 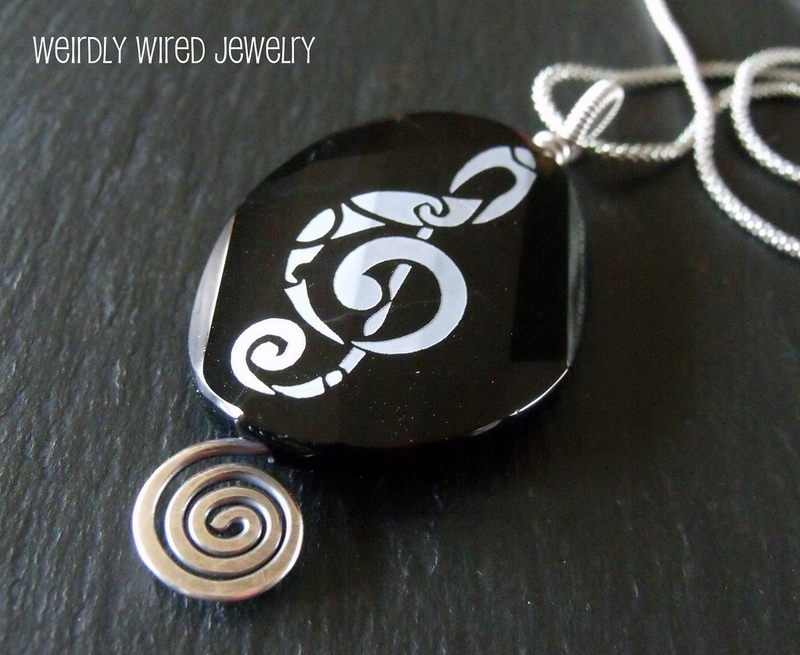 Larkavite Sterling Swirls Pendant - send email. NP_Mother's Stamped Pendant-mixed metals - send email. Ocean Jasper Copper Tree Pendant - send email. Pyrite in Quartz Copper Spirals Pendant - send email. 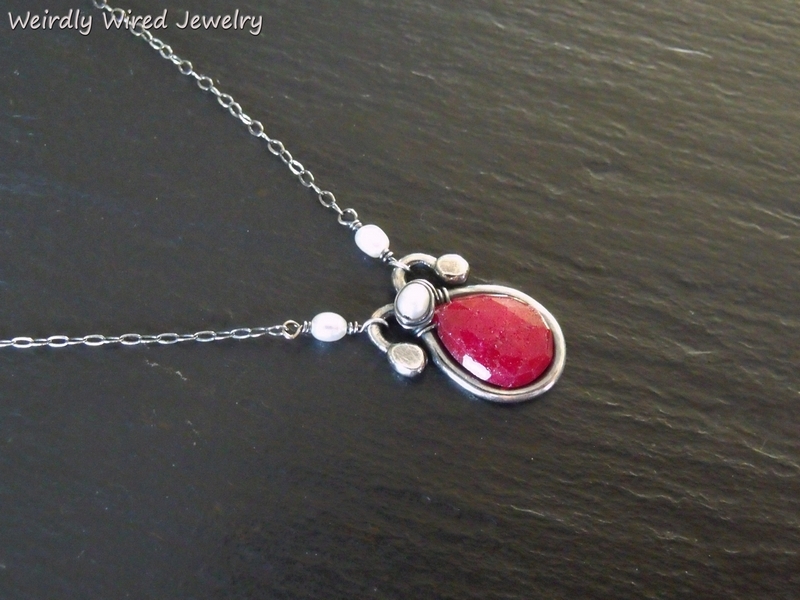 Ruby and FWP Sterling Necklace - send email. 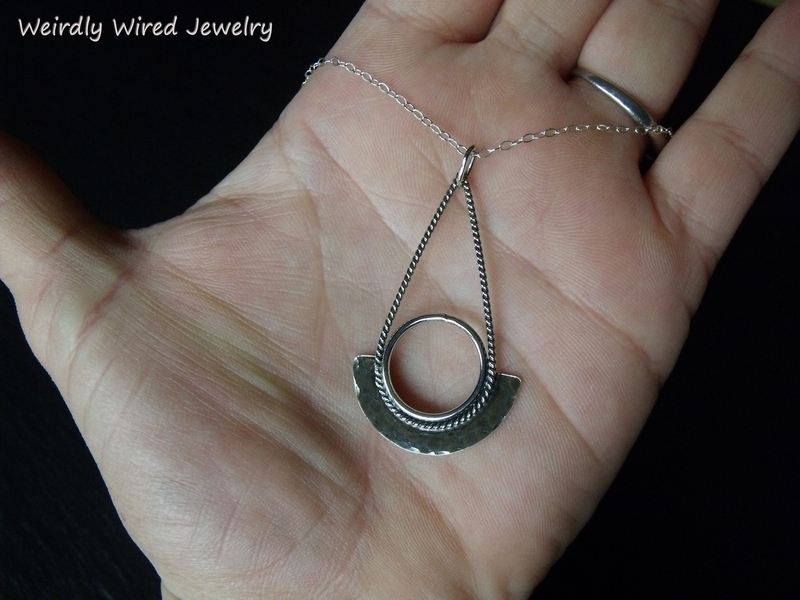 Sterling Circles Necklace - send email. 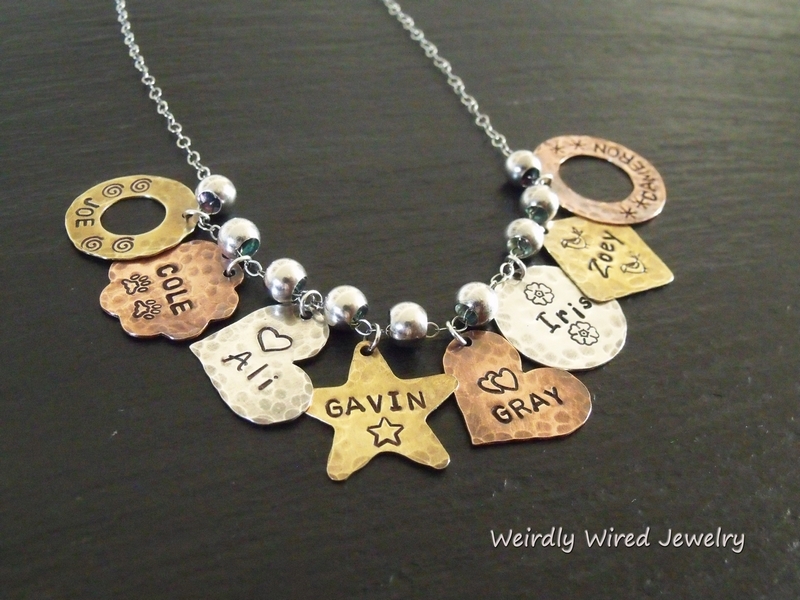 NP-Four Names Stamped Mothers Pendant - send email. Bicycle Gears Pendant - send email. 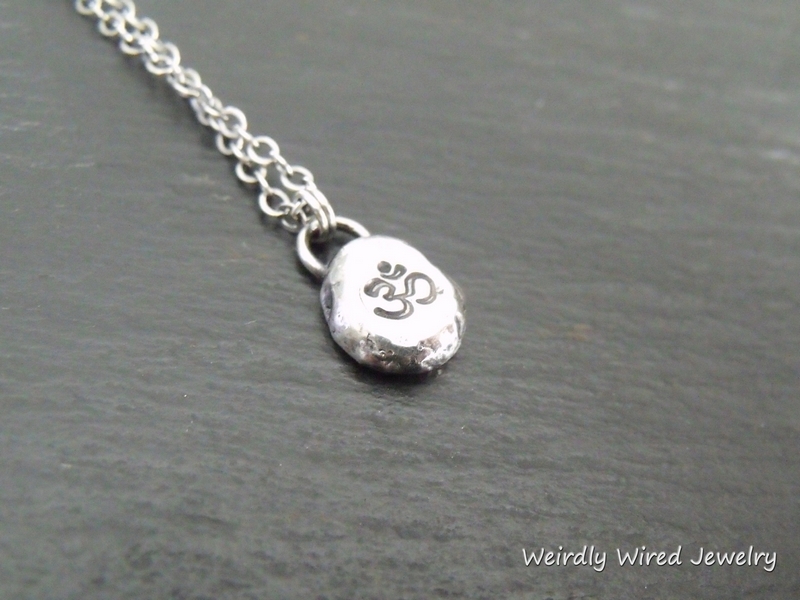 Recycled Sterling Om Necklace - send email. 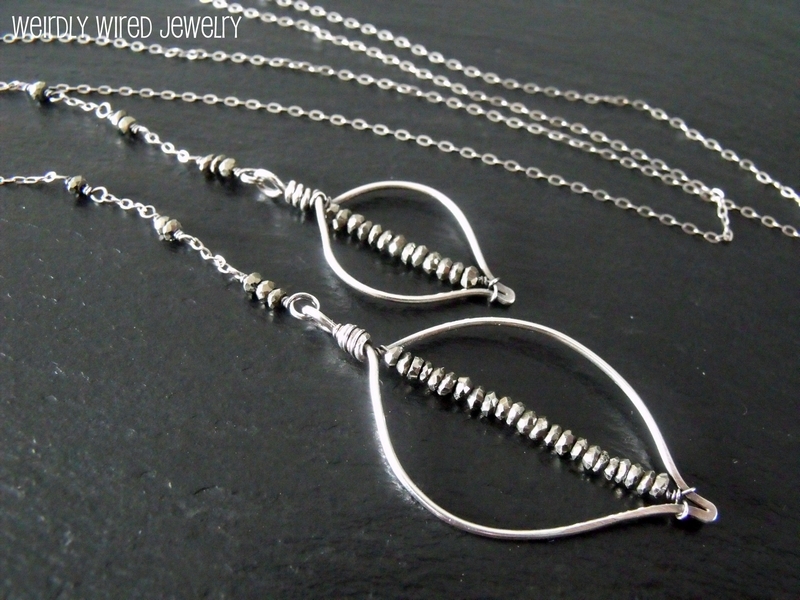 Recycled Sterling Necklace - send email. 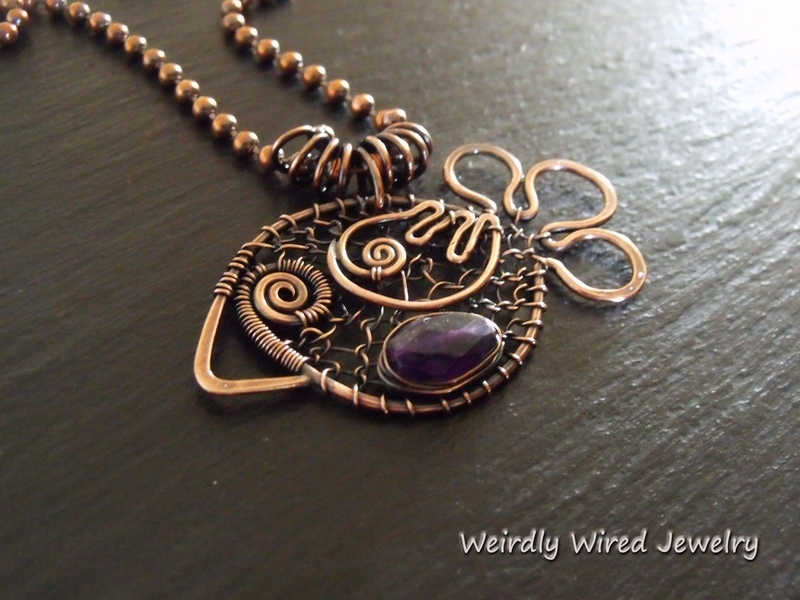 Copper Wire Chicken Pendant-Amethyst Egg - send email. 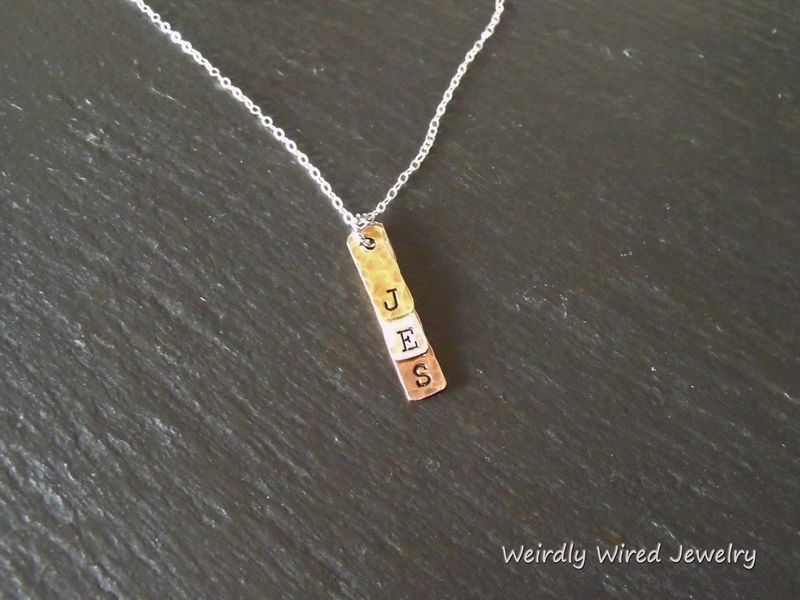 Layered Initials Necklace - send email. 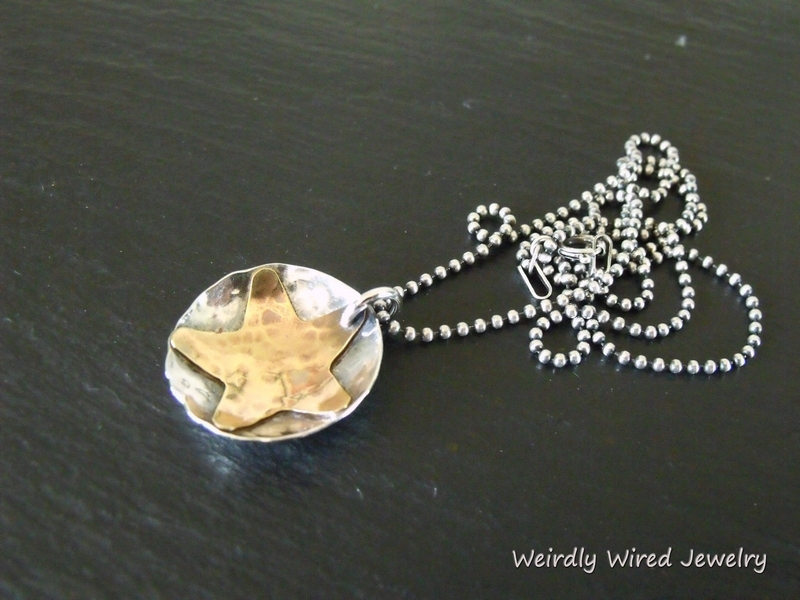 Sterling Disc Brass star pendant - send email. 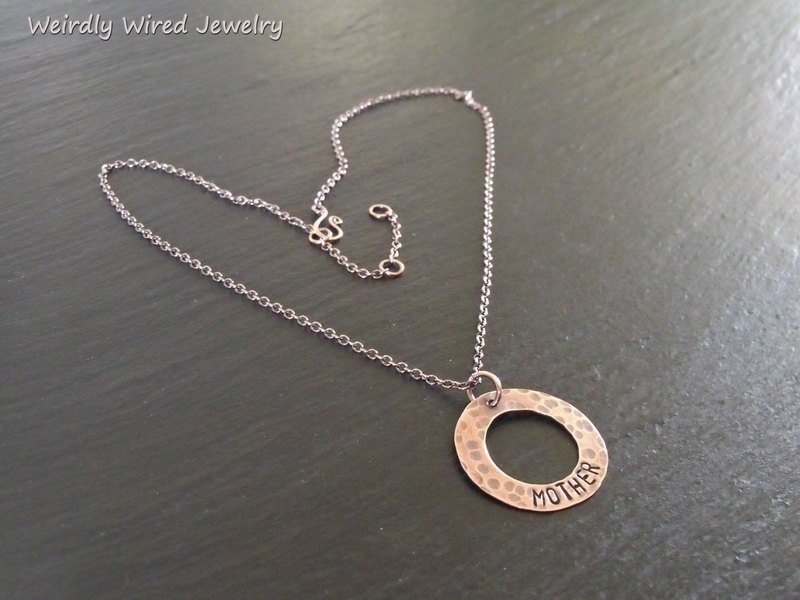 Half Copper Circle Necklace - send email. 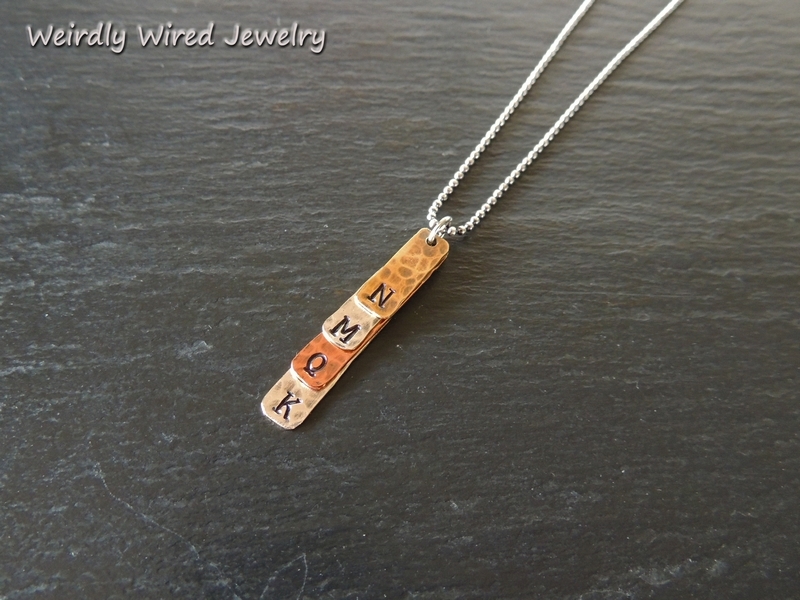 Stamped Initials Necklace-NP - send email. 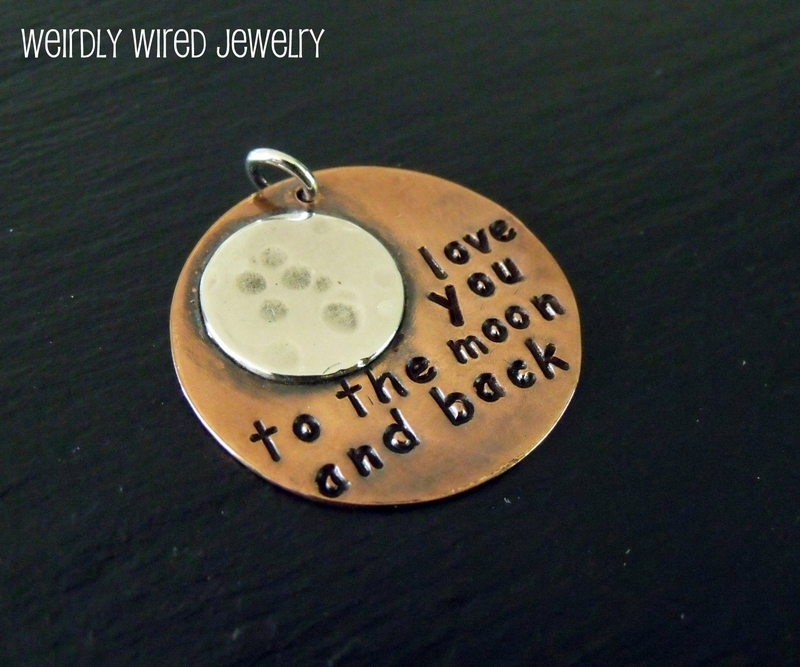 Love you to the moon and back Pendant - send email. Nurse Band-Aid Necklace - send email. 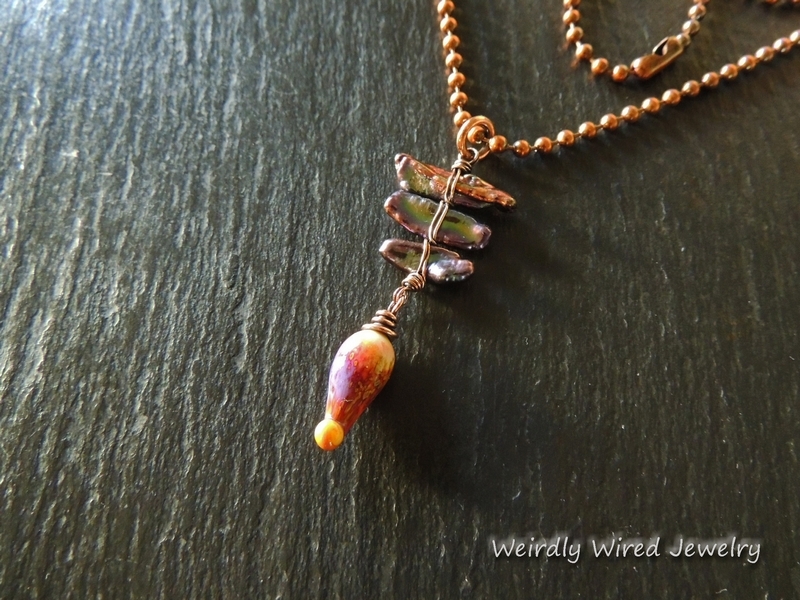 Pale Spinel and Twisted Copper Drop - send email. 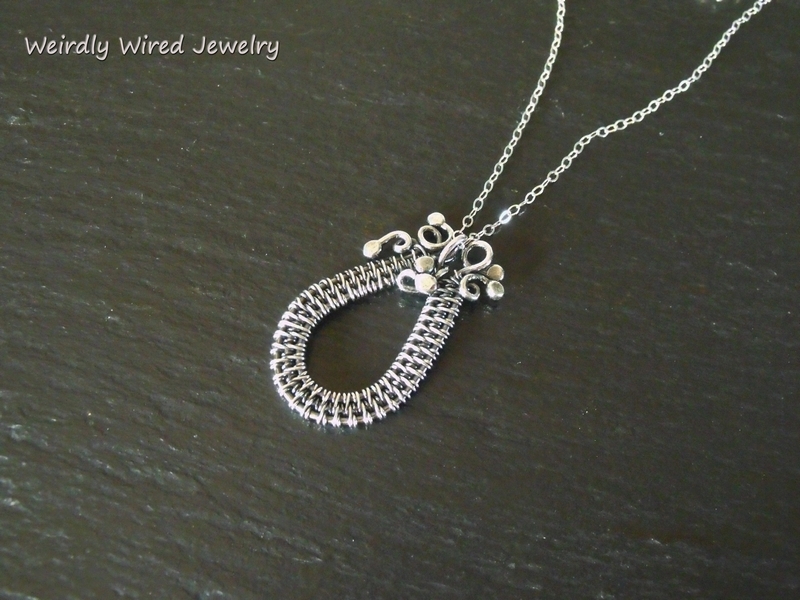 Infinity Slide Pendant with Initial - send email. The Garden Necklace - send email. Sterling Dots Necklace - send email. 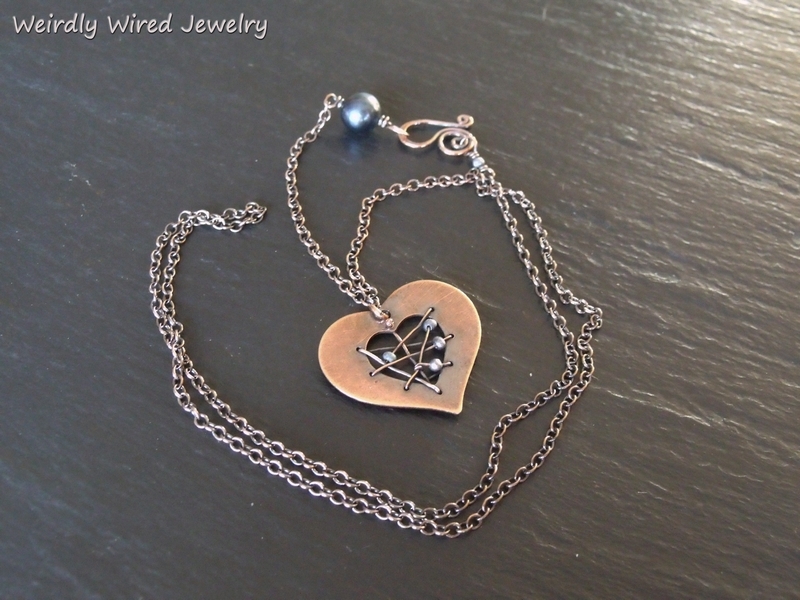 Copper Heart Blue FWP Necklace - send email. Labradorite Sterling Bypass Pendant - send email. 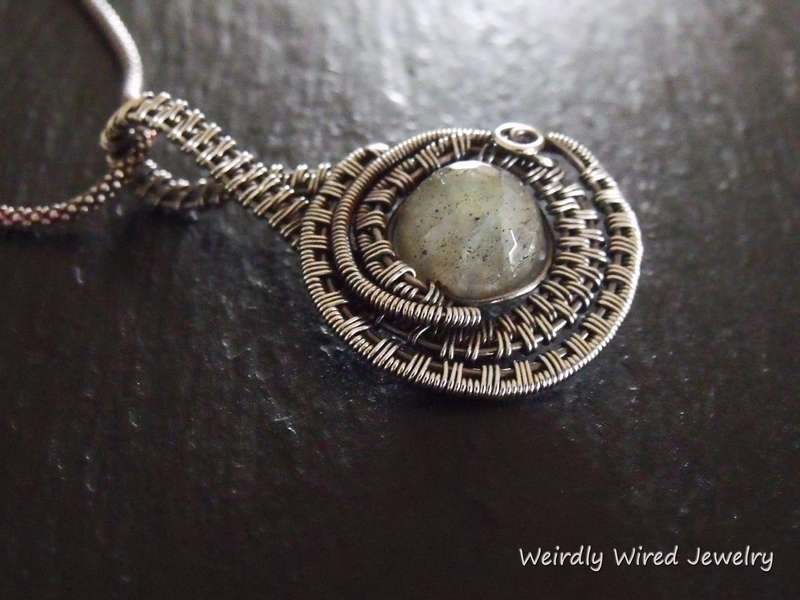 Sterling Paisley with Labradorite Necklace - send email. 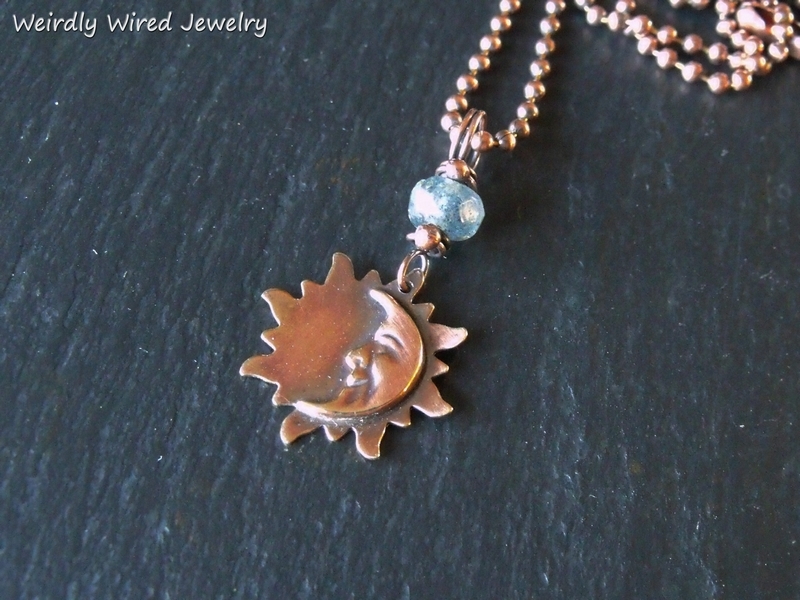 Brass Sun and Moon with Kyanite - send email. Stamped Copper Washer MOTHER - send email. Medusa Pendant - send email. Rainbow Moonstone Marquee GF and SS Necklace - send email. Itasy Jasper, Labradorite and Brass - send email. 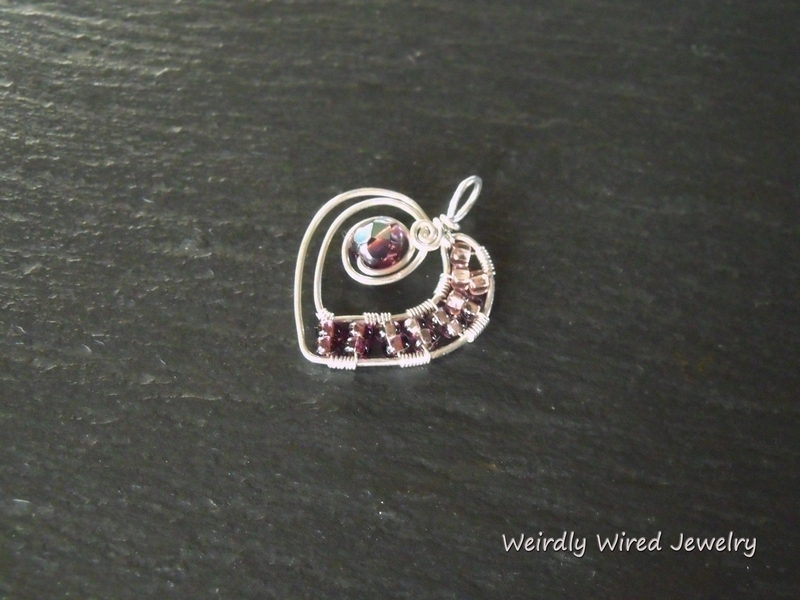 Pink and Purple Sterling Heart - send email. 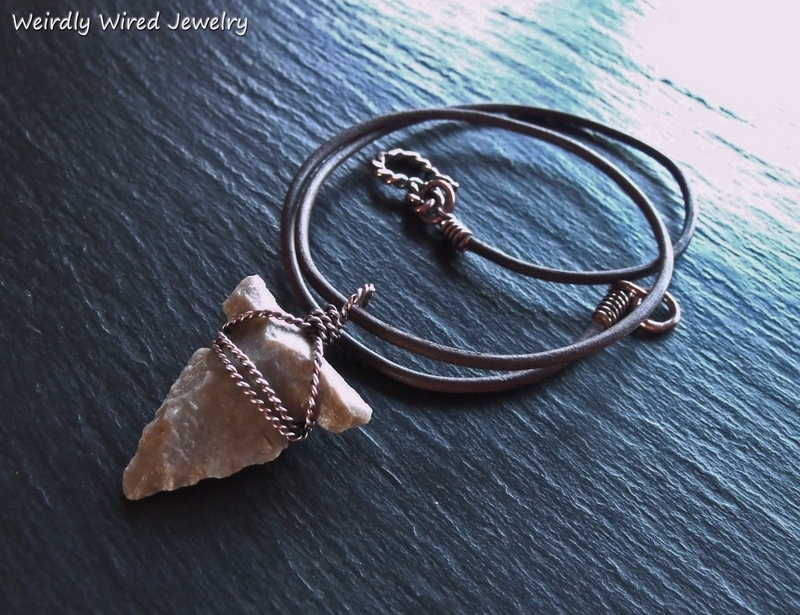 Wire Wrapped Arrowhead Necklace - send email. 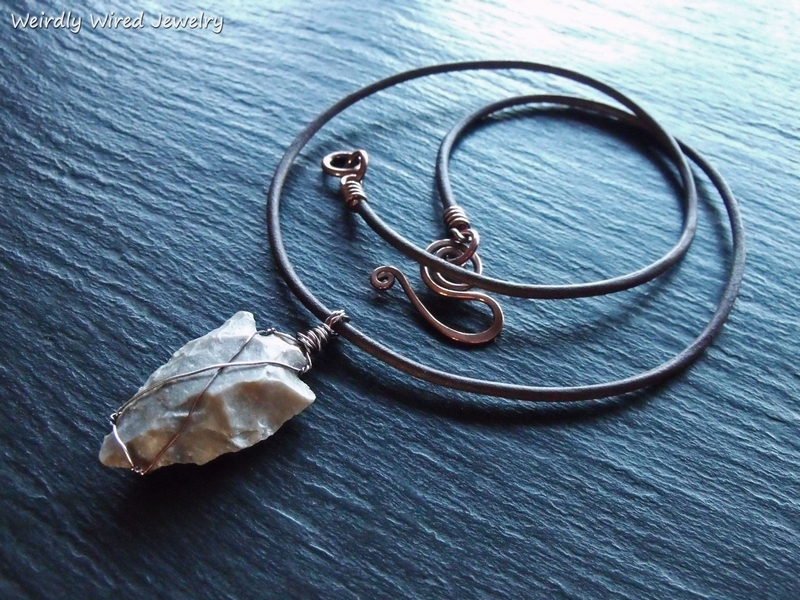 Twisted Wire Wrapped Arrowhead - send email. Gemstone Celebration Pendants - send email. Copper Cross 3 - send email. 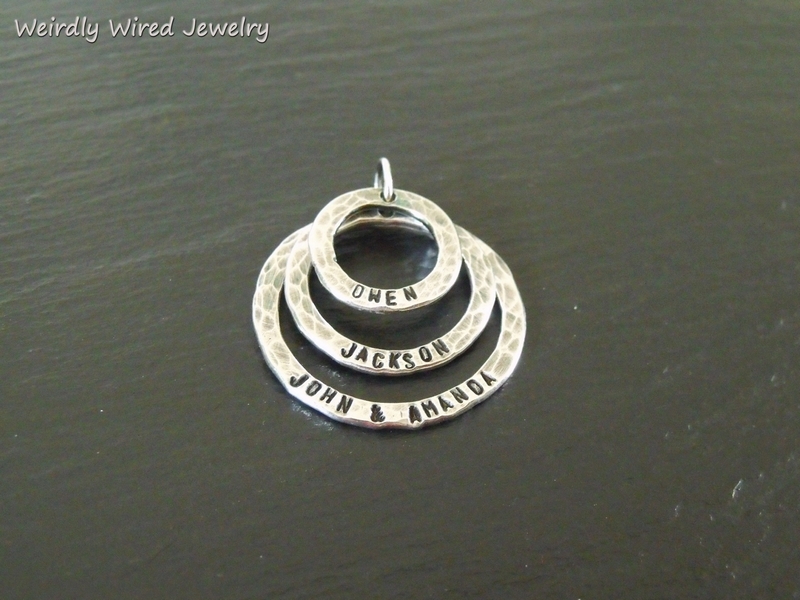 Stamped Rings Mother's Necklace-NP - send email. Green Onyx Marquee Pendant - send email. Leopard Jasper Tab Set Pendant - send email. Men's Copper Horseshoe Necklace on Leather - send email. 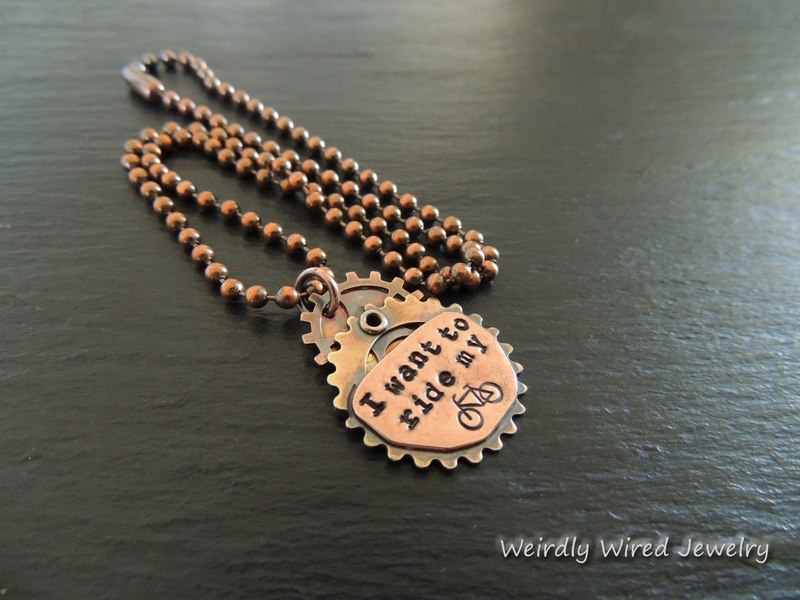 Copper Disc Dapped Necklace - send email. 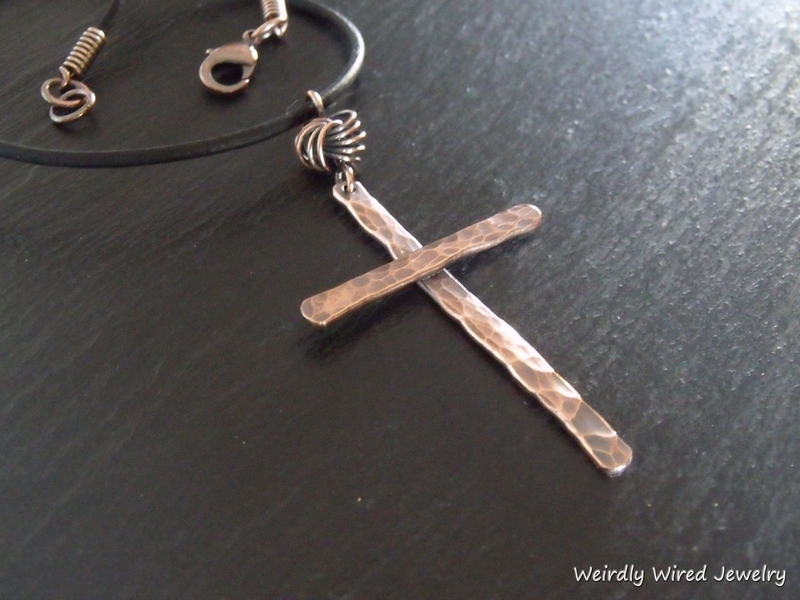 Copper Cross with Love Knot - send email. Sterling Om Pendant - send email. 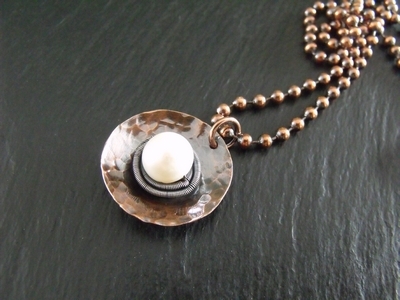 Salvage Pendant - send email. 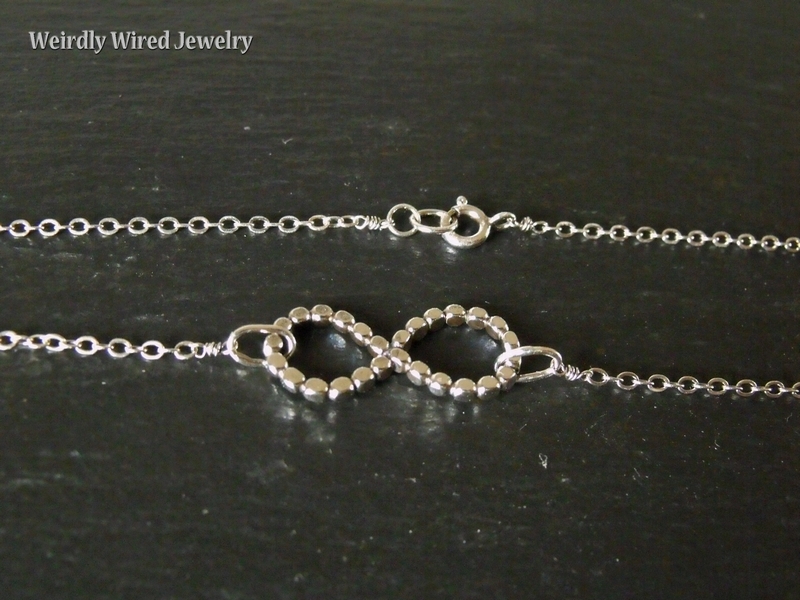 Mixed Metal Wire Wrapped Infinity Necklace - send email. 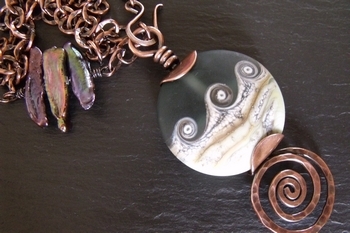 Twisted Copper and Paua Pendant Necklace - send email. 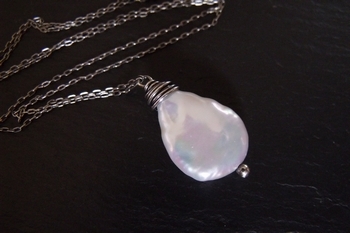 Paua and Sterling Necklace - send email. 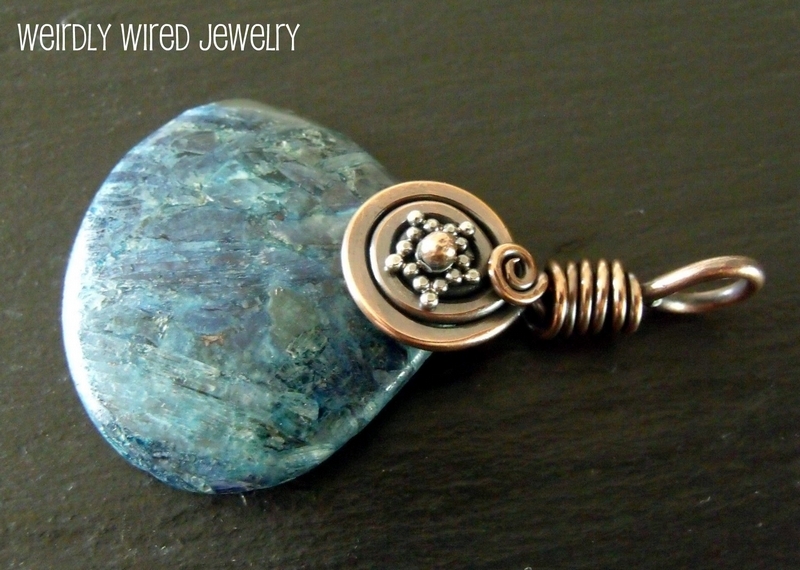 Kyanite and Twisted Sq Wire Pendant - send email. 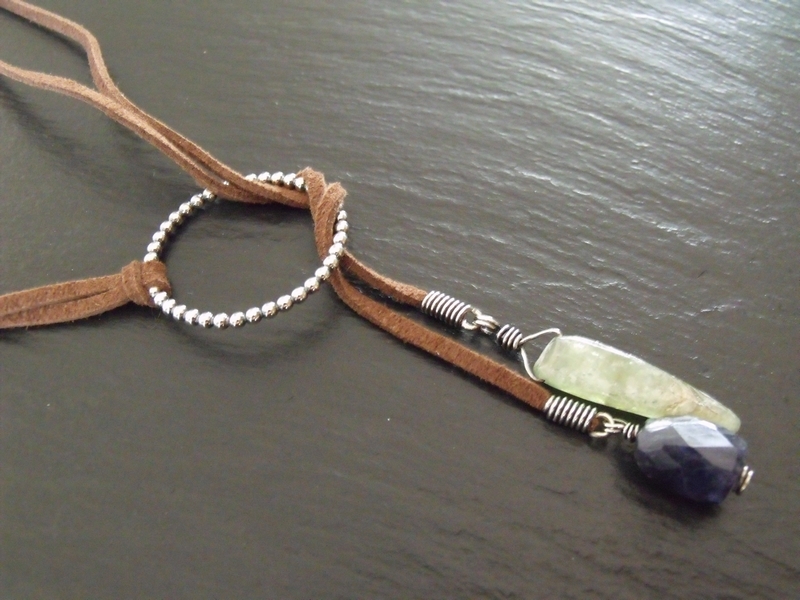 Green Kyanite and Iolite Sterling Lariat - send email. In The Forest Set - send email. 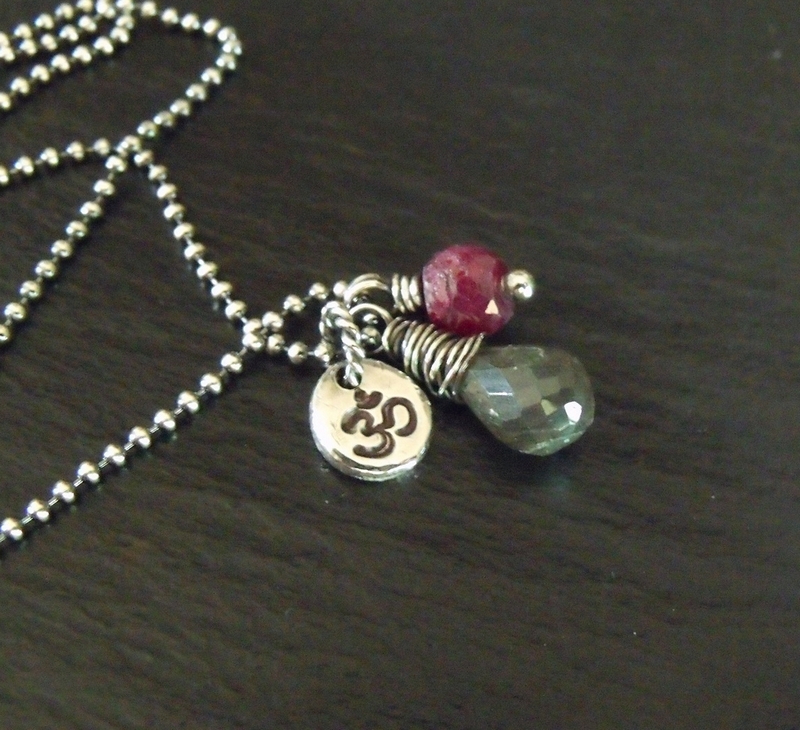 Inner Peace Necklace - send email. 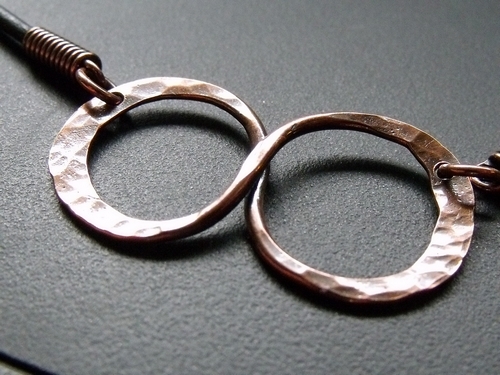 Copper Charm, Silver Infinity - send email. Pearl Cup Necklace - send email. Amethyst Paisley Necklace - send email. Pretty in Pink Necklace - send email. 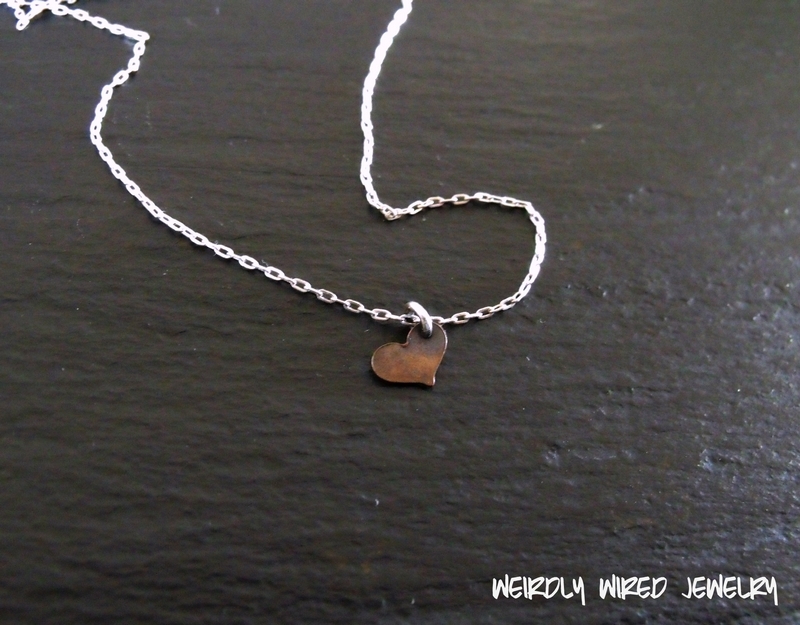 Little Heart Necklace - send email. Itasy Jasper Copper Pendant - send email. 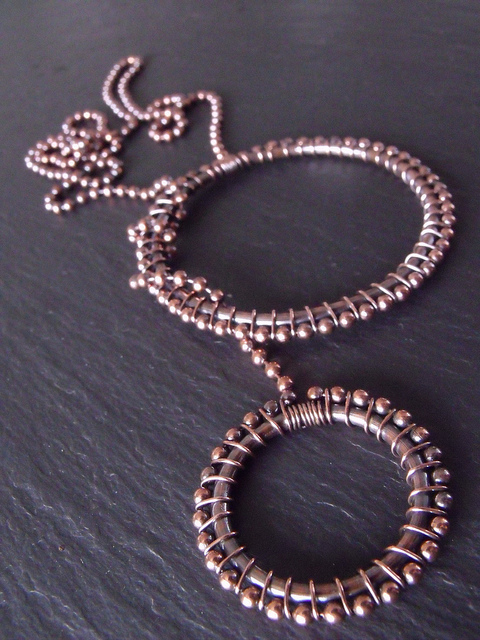 Copper Spiral Drop Necklace - send email. Super Twist Necklace - send email. MultiMoonstone Copper Necklace - send email. Copper Infinity Ball Chain Necklace - send email. Mixed Metals Flower Pendant - send email. 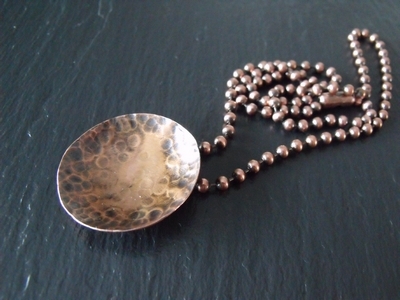 Concave Copper Disc Necklace - send email. Shell Donut Necklace - send email. Hollow Copper Heart Pendant - send email. Ocean Jasper Druzy Necklace - send email. Caribbean Opal Hessonite Necklace - send email. 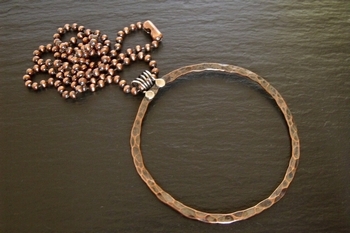 Tiger Iron and Mookite Necklace - send email. Fresh Water Pearl Drop Necklace - send email. Azurite Donut Necklace - send email. Pietersite and Copper Necklace - send email. Labradorite and Iolite Wedding Set - send email. 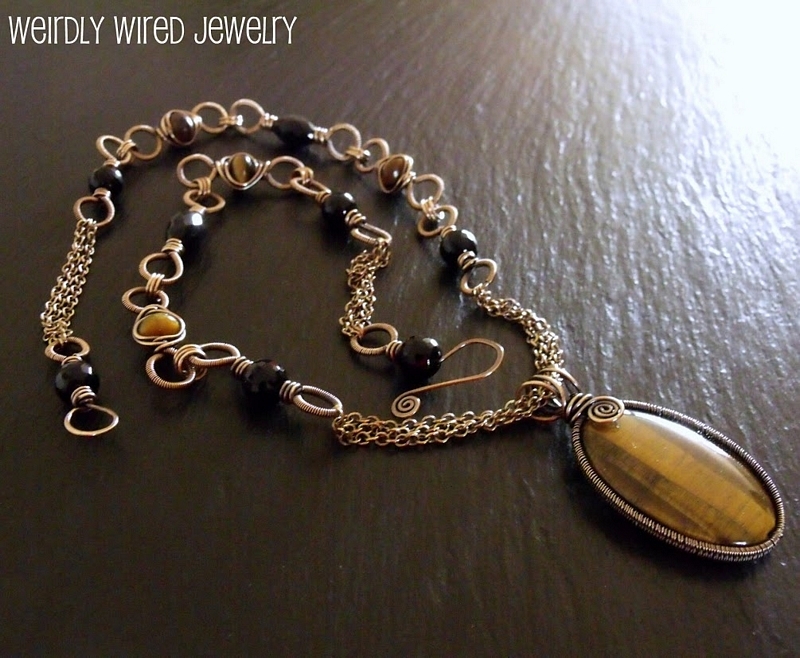 Tiger Eye, Onyx and Bronze Necklace - send email. Celine's Dream Necklace - send email. 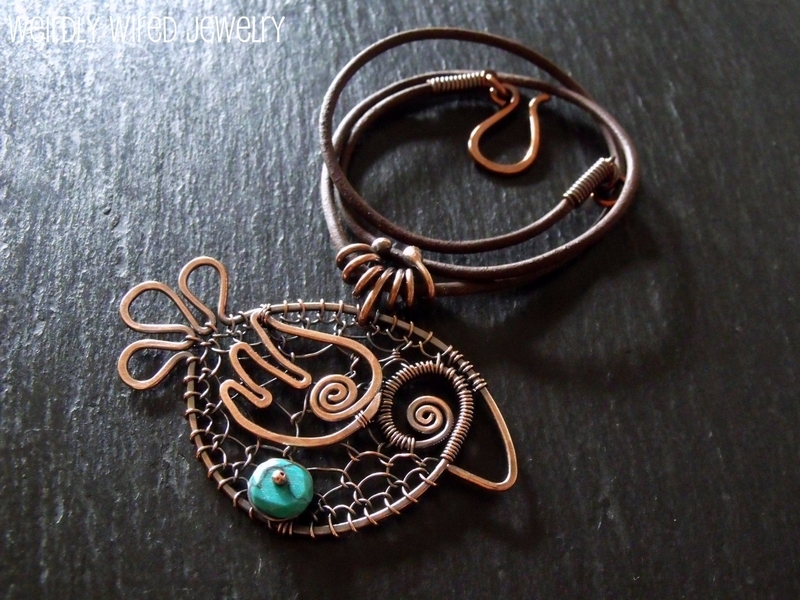 Copper Wire Chicken-Small Turquoise - send email. 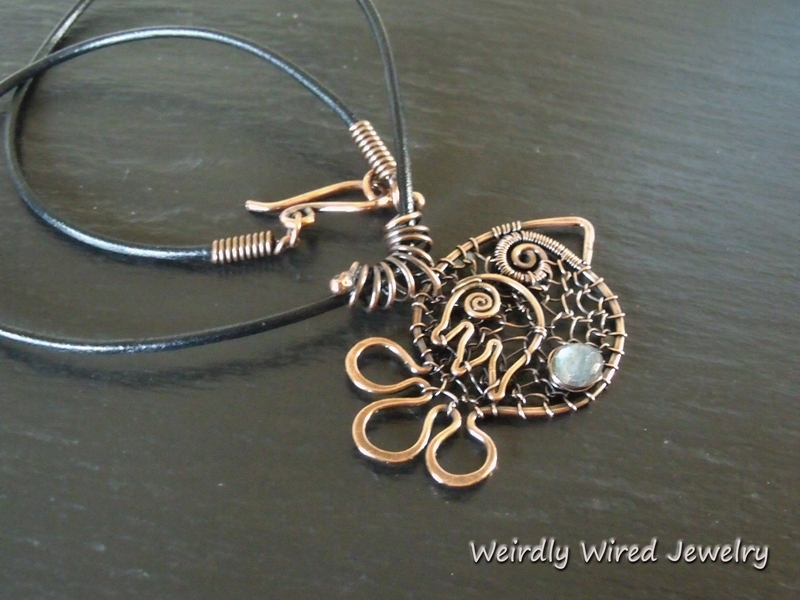 Wire Chicken Pendant-Medium - send email. Amethyst Crystal Point Byzantine Chain - send email. Chicken Pendant-Large Turquoise - send email. Horse Shoe Necklaces - send email. 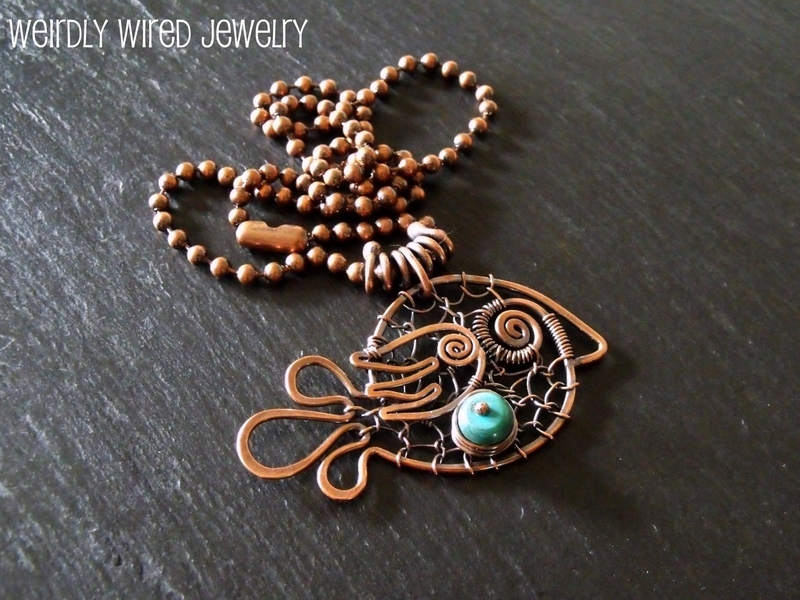 Wire and Bead Fish - send email. 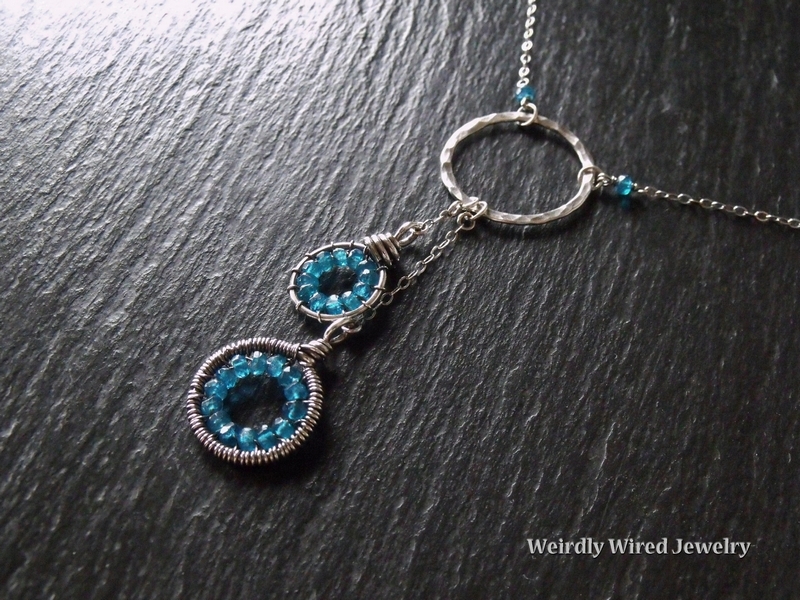 Wire Chicken with Aquamarine - send email. Copper Chicken with Lapis - send email. Imperial Jasper Byzantine Necklace - send email. 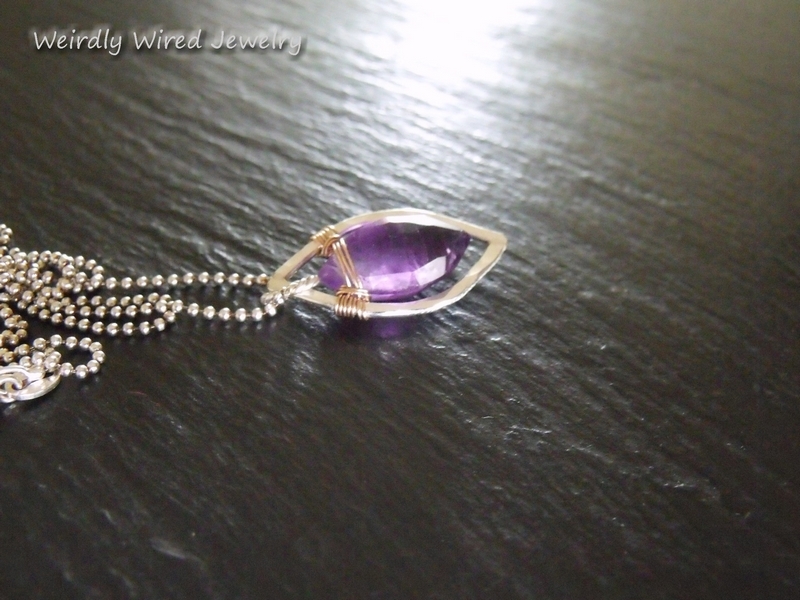 Amethyst Crystal Point Necklace - send email. Silver Wrapped Copper Drops Set - send email. 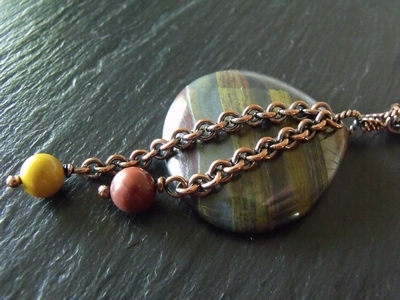 Labradorite Necklace Striped Copper - send email. Gemstone Celebration Pendant - send email. Copper and Apatite Circles - send email. Labradorite Necklace - Kim - send email. Blues and Browns Necklace - send email. 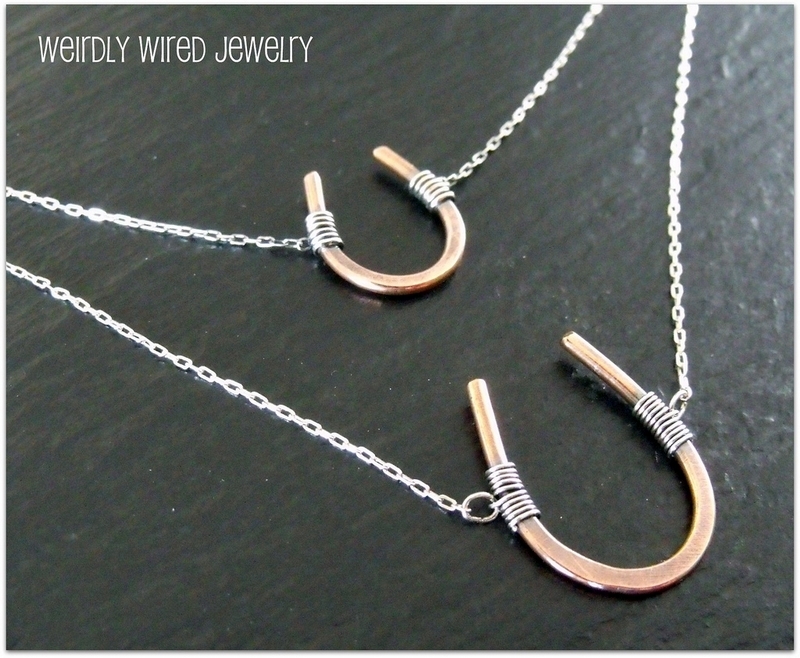 Twisted Wire-Copper and Bronze Drop - send email. Sterling Horseshoe Necklace - send email. Hypersthene and Ruby Pendant - send email. Sterling Brass Disc Turquoise Rivet - send email. Copper Horse Shoe Necklace 2 - send email. 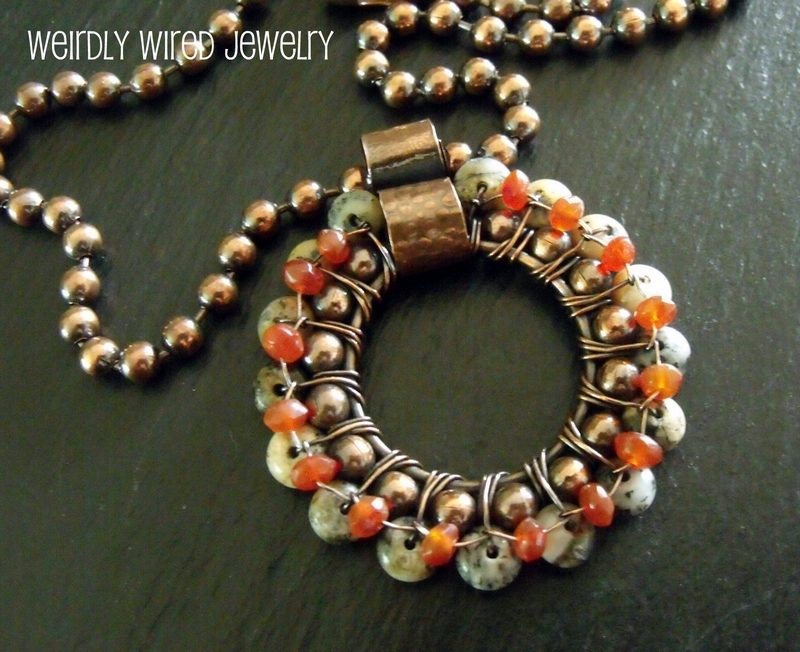 Copper Infinity on Ball Chain - send email. Men's Horse Shoe Necklace - send email. Mexican Crazy Lace Agate Necklace - send email. 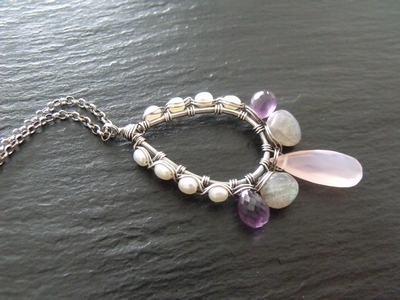 Moonstone and Tourmaline Necklace - send email. Pyrite SS Lariat 2 - send email. Rainbow Paisley Necklace-Marcia - send email. 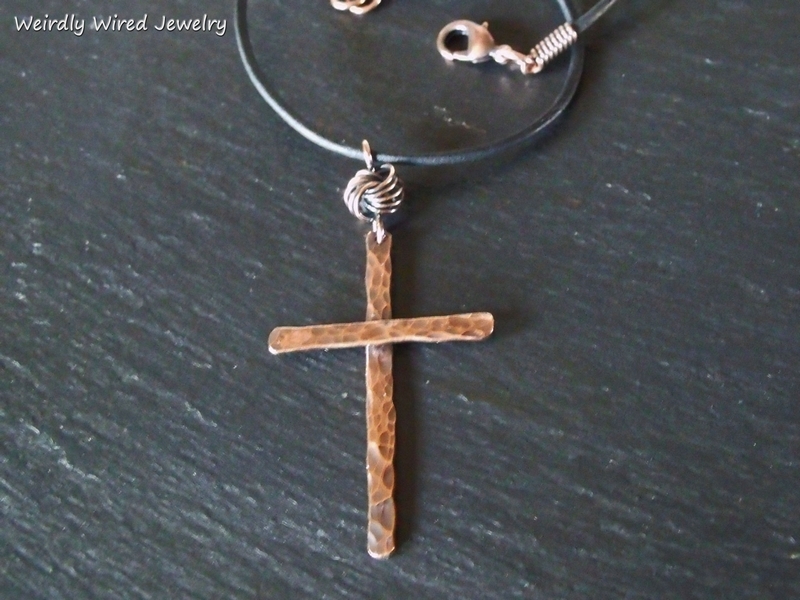 Cross Stone Copper Necklace - send email. Black Tourmaline Paisley 2 - send email. 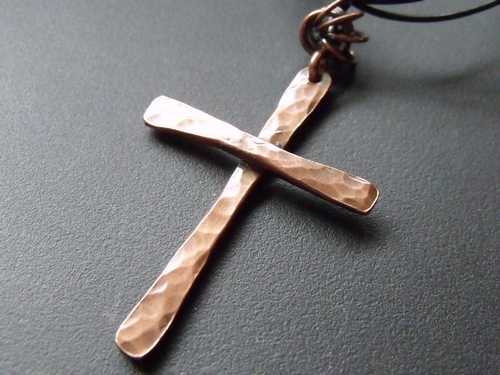 Men's Copper Cross Necklace - send email. 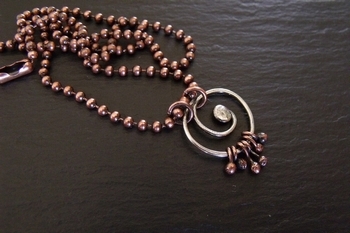 Copper and Pearl Leaf Lariat - send email. Crab Fire Agate Pendant 2 - send email. Fold Formed Flower Pendant - send email. Freeform Labradorite Necklace - send email. 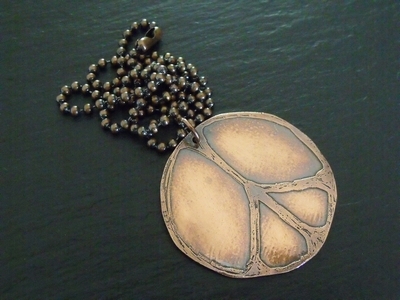 Sterling Peace Necklace - send email. Carnelian and Jasper Pendant - send email. Apatite Drop Pendant - send email. Large Labradorite Pendant - send email. Engraved Onyx Pendant - send email. Labradorite Sterling Silver Cross Necklace - send email. Sterling Silver Pyrite Lariat Necklace - send email. Conglomerite Jasper Necklace - send email. 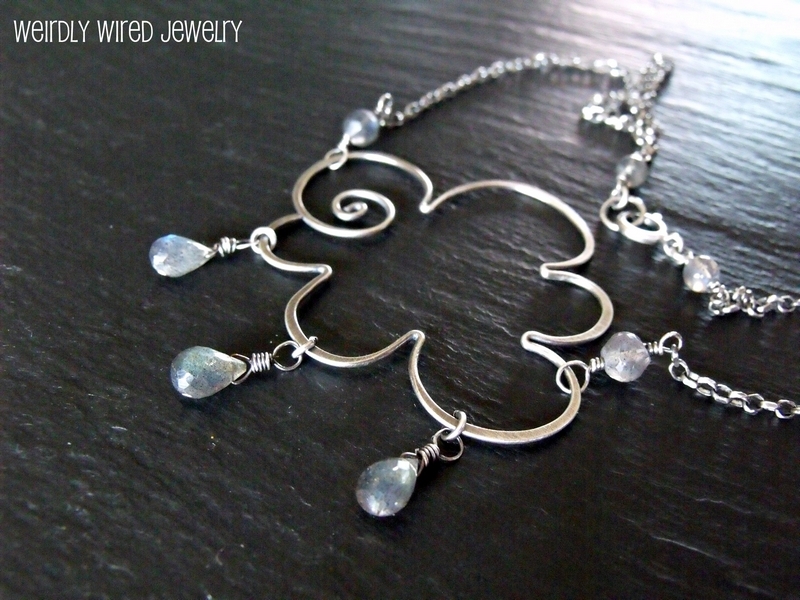 Stormy Weather Necklace - send email. 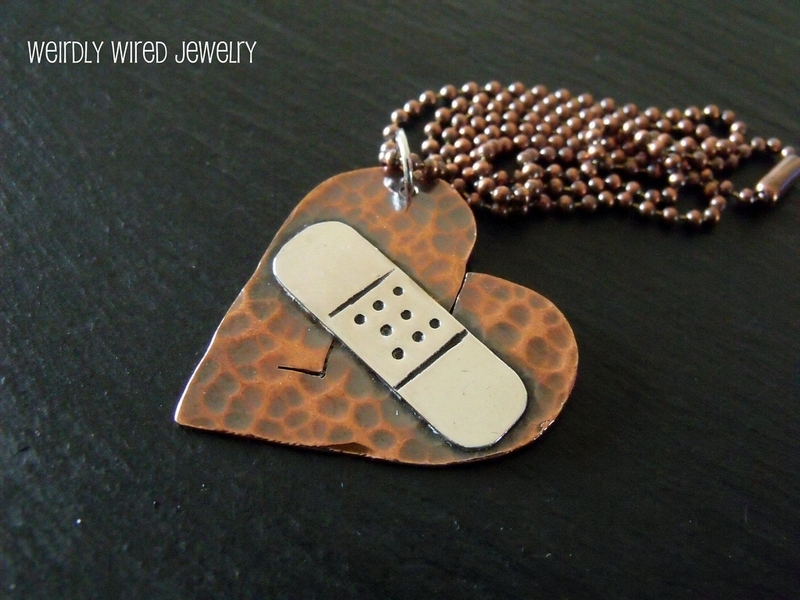 Broken Heart Band Aid Necklace-Dana - send email. 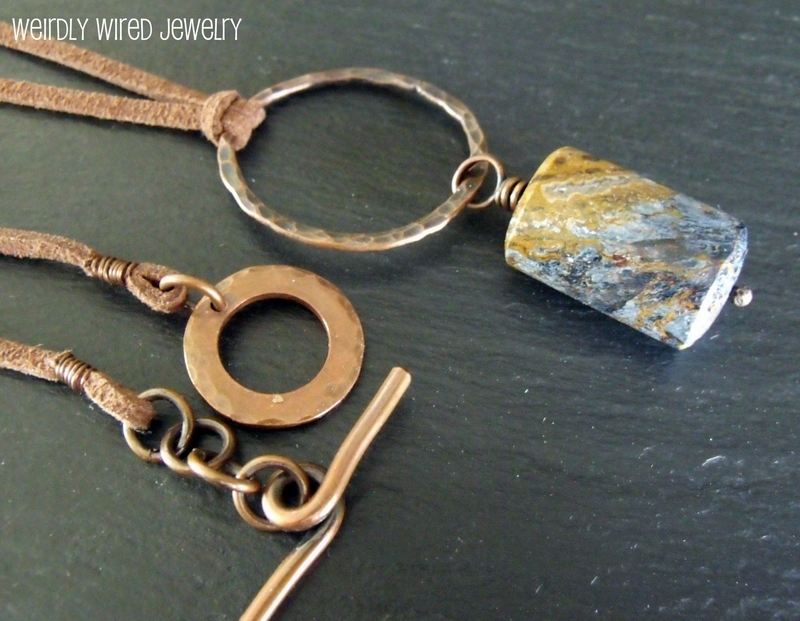 Kyanite Copper and Brass Pendant - send email. 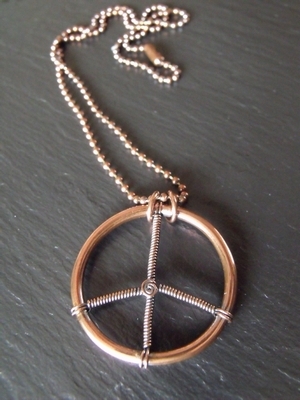 Copper Wire Peace Symbol 2 - send email. Broken Heart and Band Aids BD - send email. Rustic Elegance Necklace - send email. 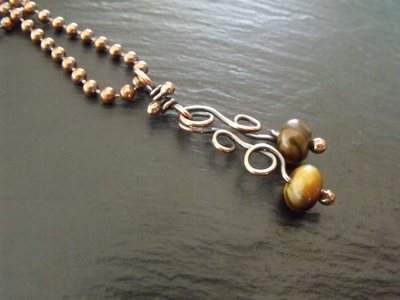 Tiger Eye and Copper Swirls Necklace - send email. Tiny Treasures Paua Necklace - send email. 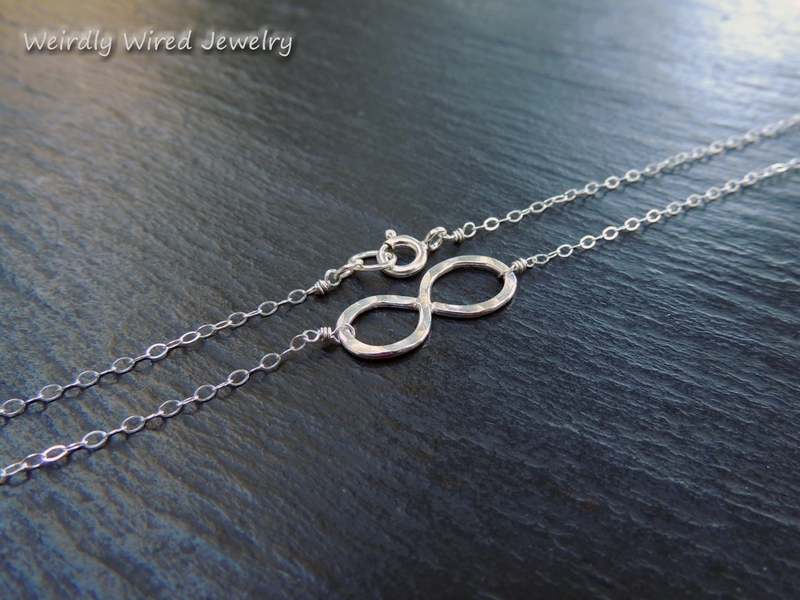 Mixed Metal Infinity Necklace - send email. A Tiny bit of Infinity - send email. 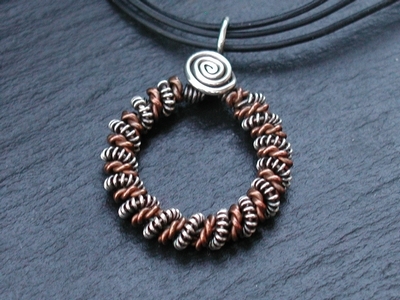 Copper Twisted Coiled Center Necklace - send email. Mookite and Copper Love Knot Pendant - send email. 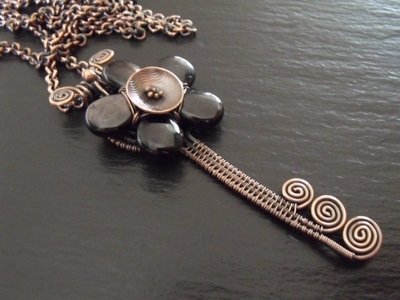 Domed and Riveted Copper Flower Pendant - send email. 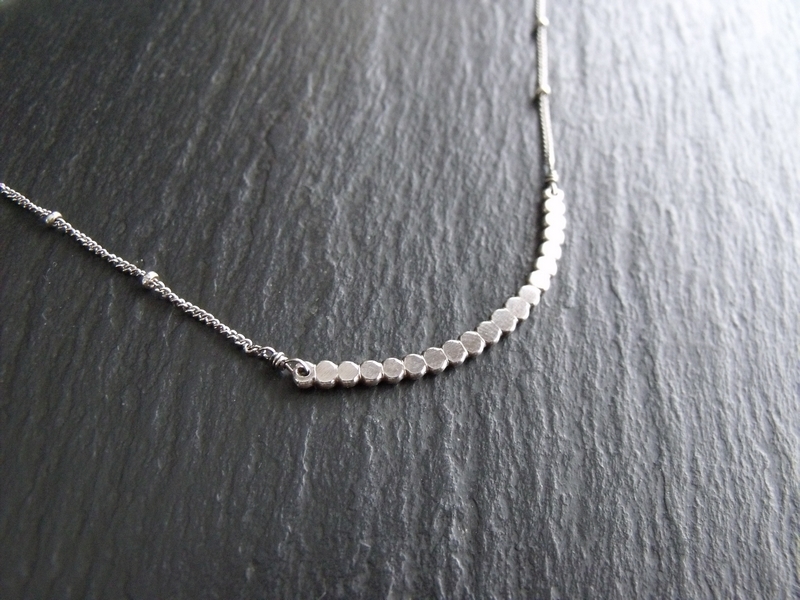 Lovely Layers Ball Chain Necklace - send email. Shiva Shell Pendant - send email. Amethyst Onion and Labradorite Necklace - send email. Copper Love Heart - send email. 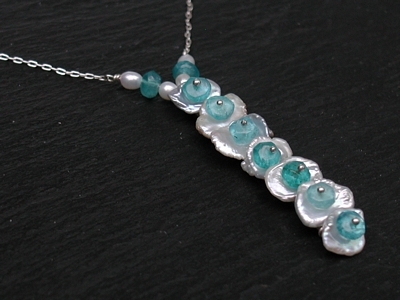 Keishi Pearl and Apatite Necklace - send email. 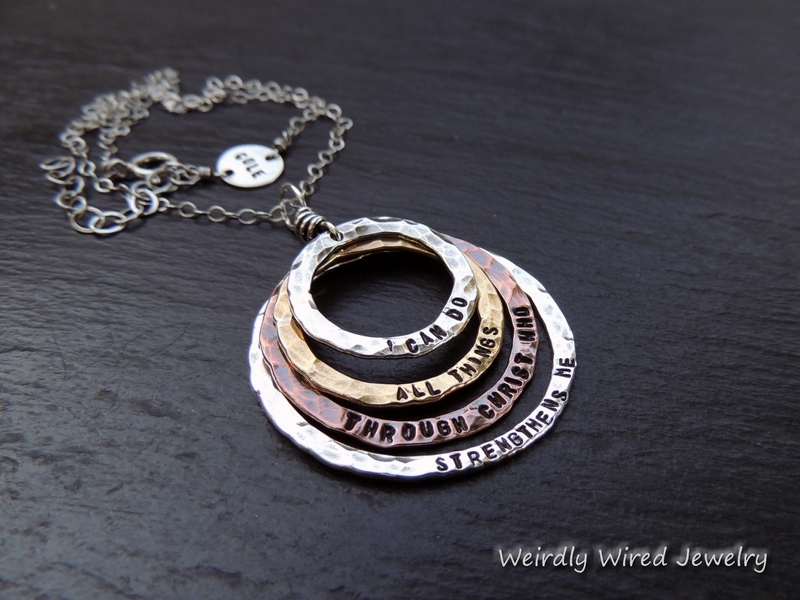 Sterling and Gold Circle Necklace - send email. Andalusite and Copper Necklace - send email. 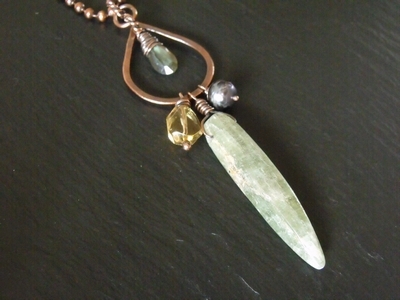 Green Jasper and Copper Bone Pendant - send email. Peacock Pearl and Tanzanite Necklace - send email. 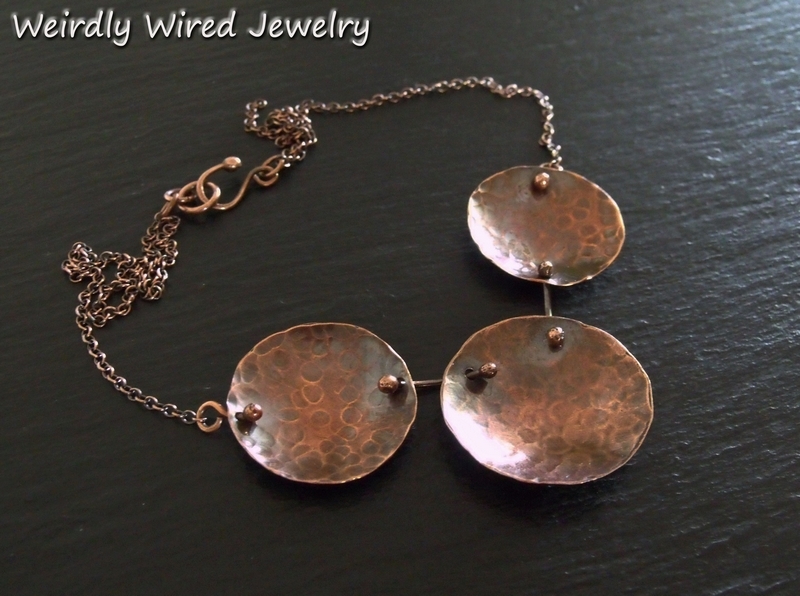 Mexican Crazy Lace and Copper Circles - send email. 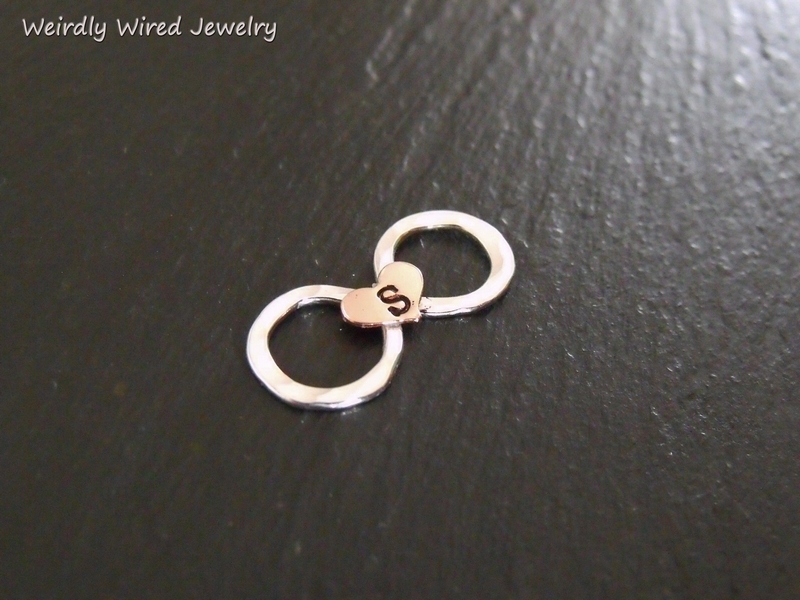 Simple Sterling Spiral - send email. Broken Hearts and Band Aids-SL - send email. Copper and Hypersthene Key Necklace - send email. Wire Pearl Cross 2 - send email. Black Diamonds and Sterling Silver Pendant - send email. Etched Intial Necklace - send email. Etched Copped Peace Symbol - send email. 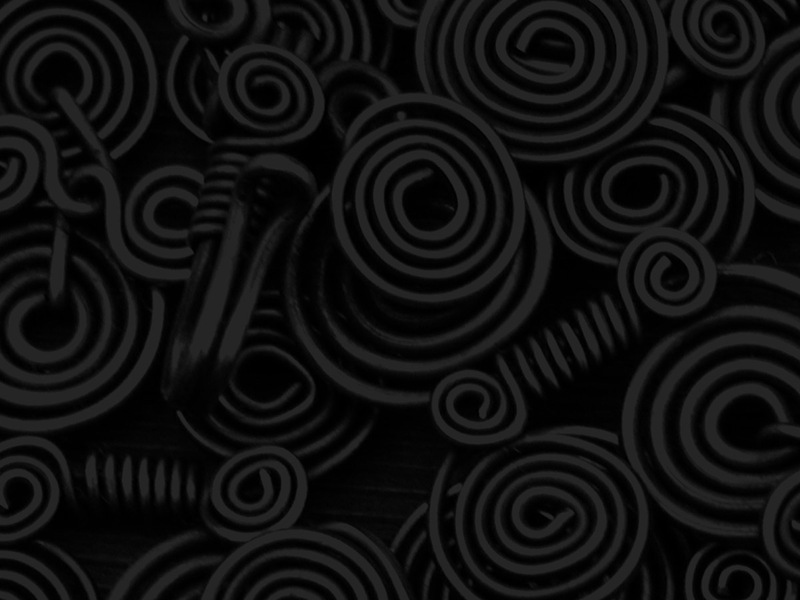 Wood Spiral Copper Rivet Pendant - send email. 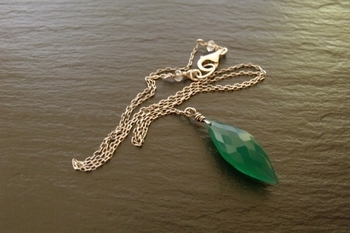 Faceted Green Onyx Necklace - send email. A Bit of Everything Necklace - send email. Mookite and Garnet Pendant - send email. Tiger Iron Heart Necklace - send email. 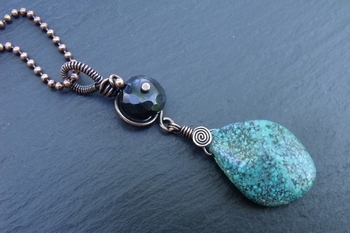 Turquoise and Black Obsidian Copper Pendant - send email. Ocean Lampwork Necklace Set - send email. 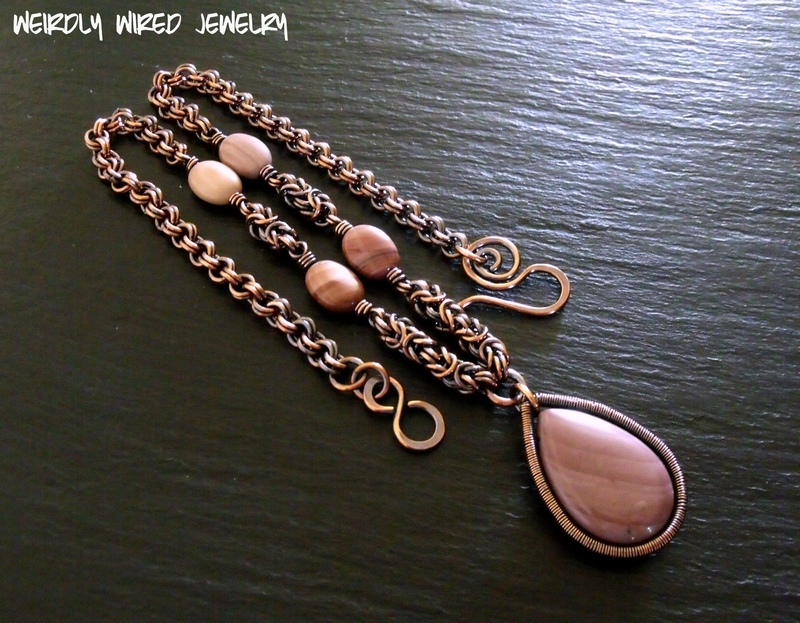 Sterling Swirl with Copper Balls Pendant - send email. Tourmaline Paisley Necklace - send email. 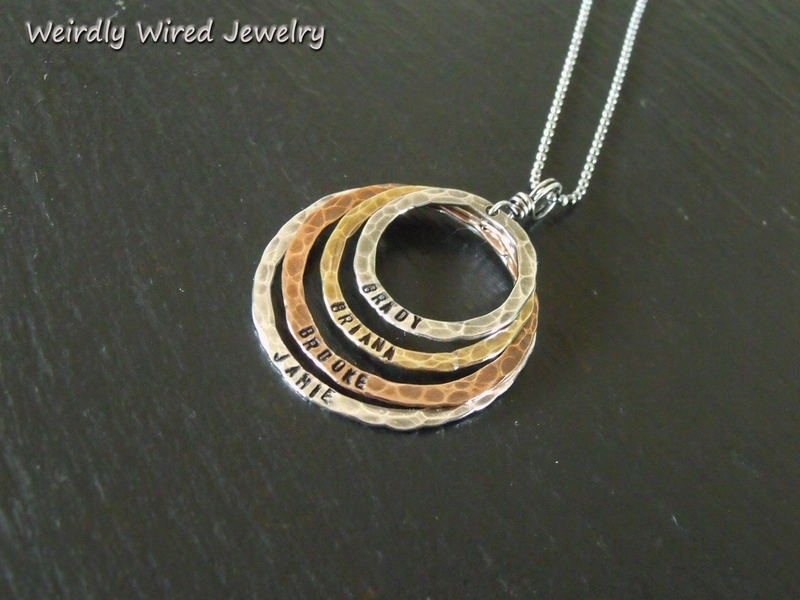 Large Copper Circle Necklace - send email. Copper and Malachite Paisley Pendant - send email. 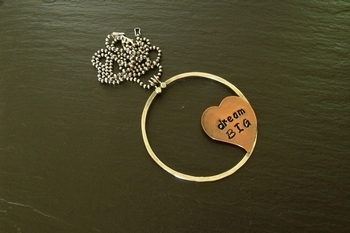 dream BIG Pendant - send email. Silver Orb - send email. 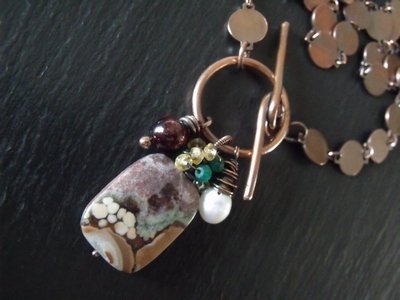 Picasso Jasper and Copper Bone Necklace - send email. Picasso Jasper Teardrop Necklace - send email. 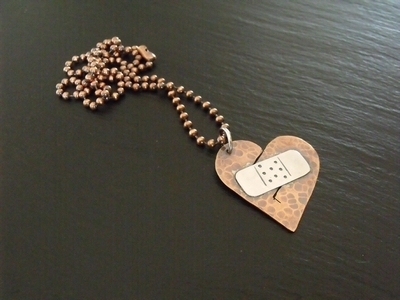 Broken Heart Band Aid Necklace 2 - send email. 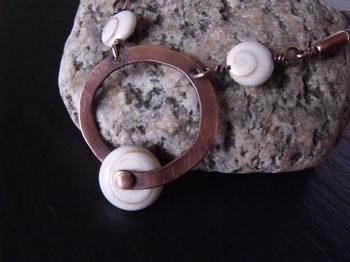 Copper Swirl Hypersthene Necklace - send email. Copper Hoop Silver Coil Bail - send email. 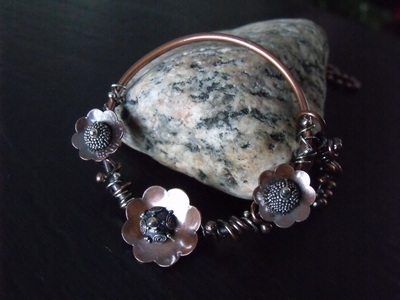 Riveted Mixed Metal Flower - send email. 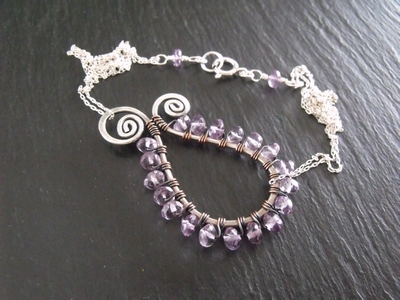 Amethyst Mixed Metal Necklace - send email. Itasy Jasper Necklace - send email. Shiva Shell Bypass Necklace - send email. 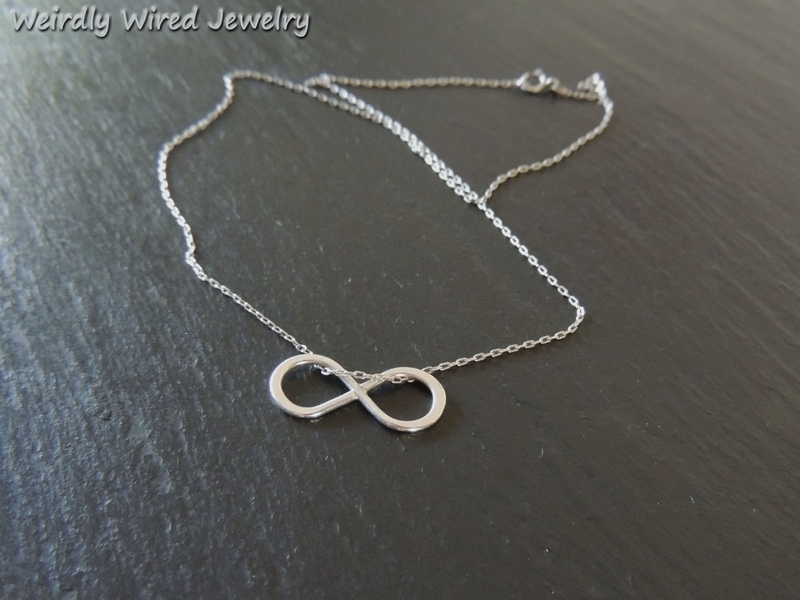 Sterling Infinity Necklace - send email. 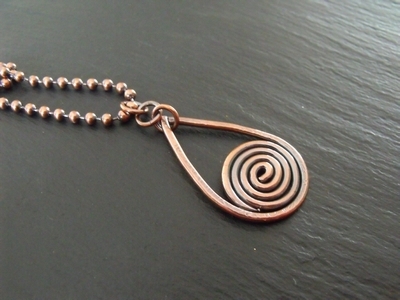 Hollow Copper Spiral Necklace - send email. 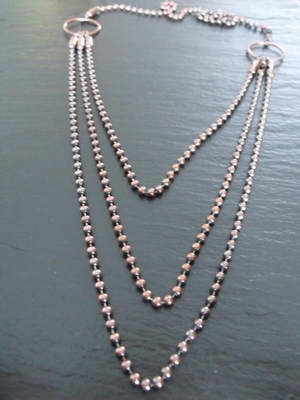 Copper Ball Chain Lariat - send email. Sterling Lariat in Purple - send email. Garnet Copper Tree - send email. Mexican Crazy Lace Tree - send email. 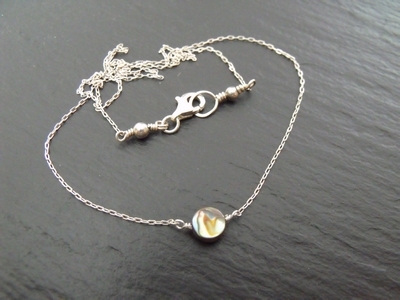 Mixed Metal Heart Necklace - send email. Mixed Metal Labradorite Tree - send email. 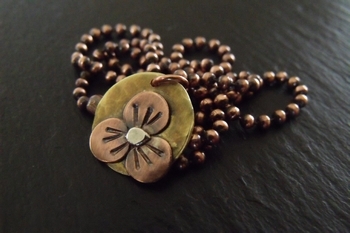 Mixed Metal Flower Necklace - send email. 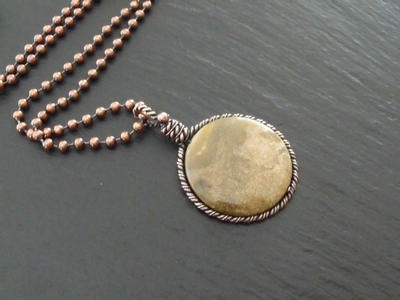 Faceted Ocean Jasper and Copper Necklace - send email. Sea Green Flower - send email. Labradorite Cab Necklace - send email. Fat Frank Copper Pendant - send email. 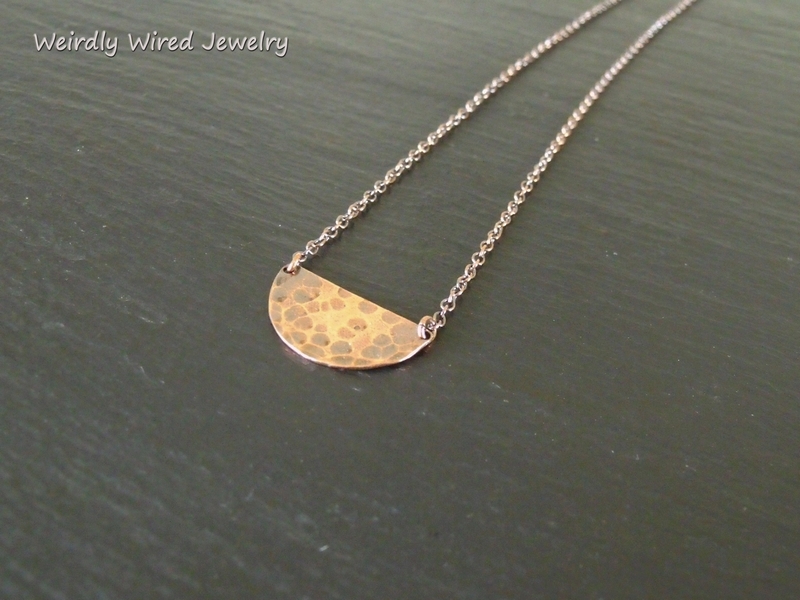 Copper Spot Necklace - send email. Dichroic and Copper Pendant - send email. Nephrite Jade Heart - send email. 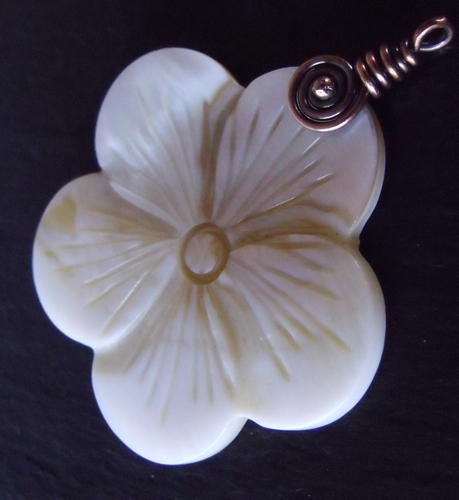 Carved Flower Pendant - send email. 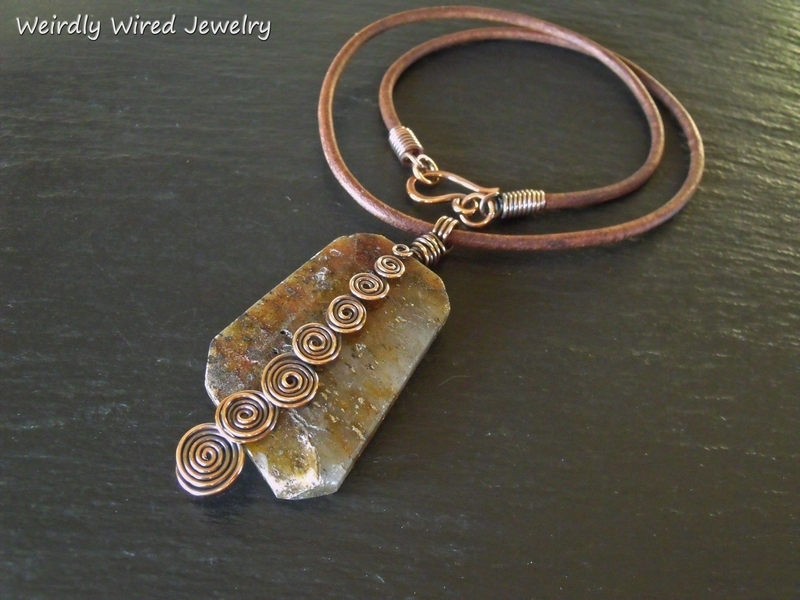 Dry Creek Jasper and Copper Necklace - send email. 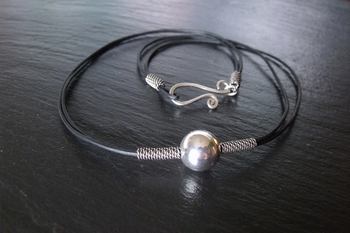 Sterling Ball on Black Leather - send email. 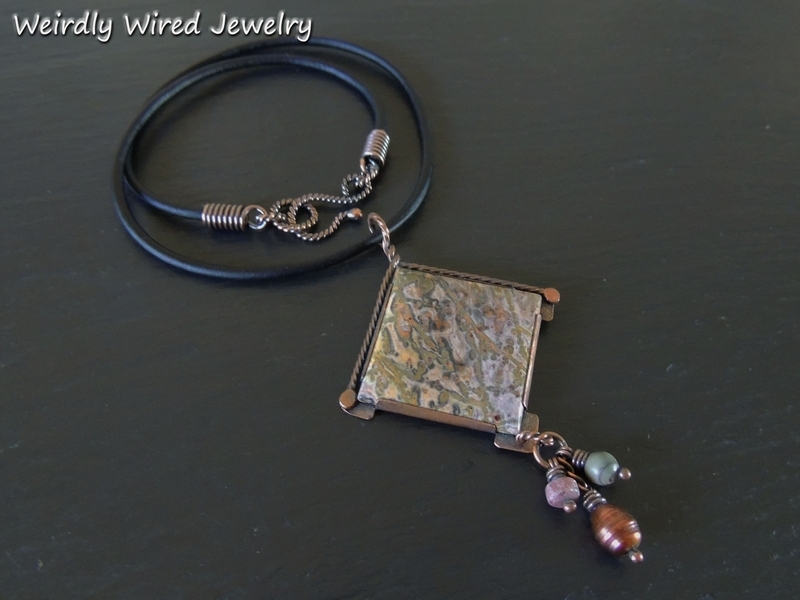 Hypersthene and Hammered Copper Pendant - send email. 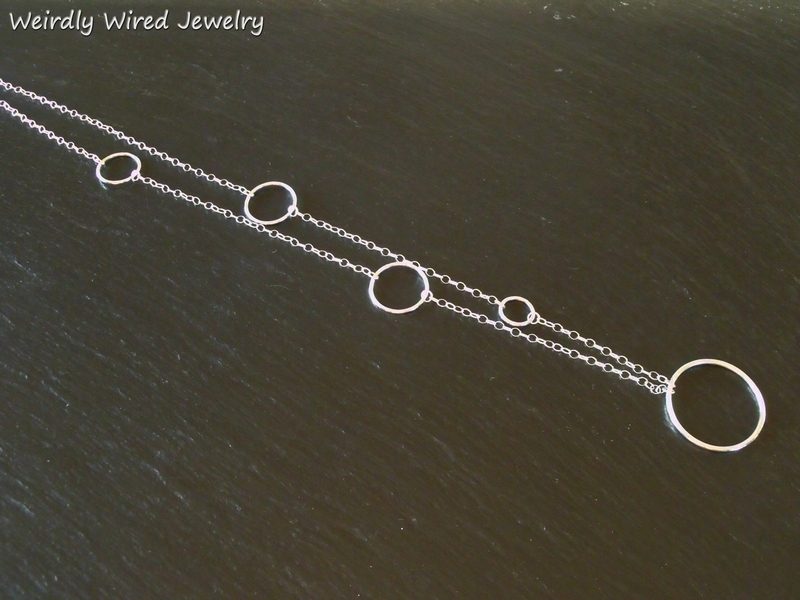 Ball Chain Circle Necklace - send email. Band Aid's and Broken Hearts - send email. Twisted Coiled Paisley - send email. 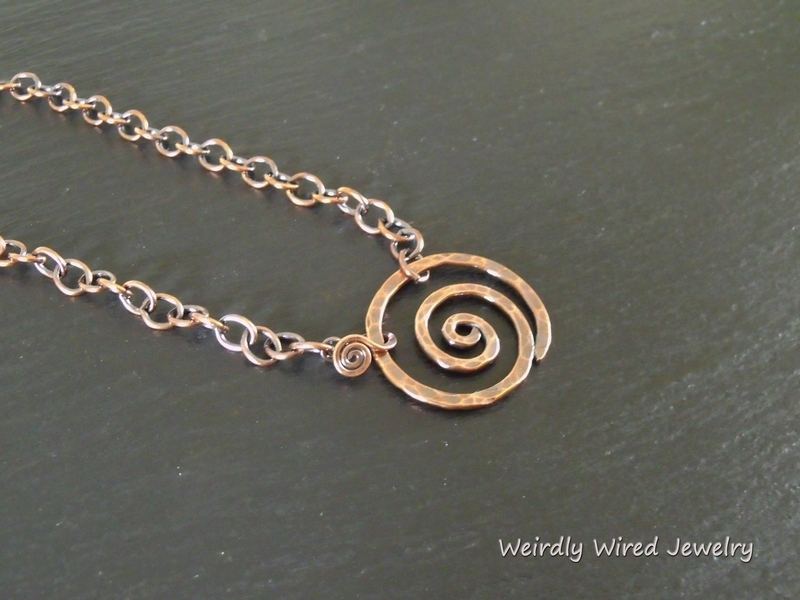 Super Spiral Copper Necklace - send email. 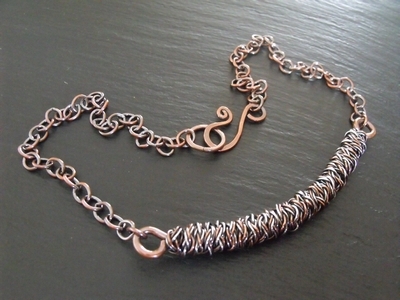 Copper Squiggle Necklace - send email. Kambabwa Jasper Pendant - send email. Ruby Trellis Necklace - send email. Copper Infinity Necklace - send email. 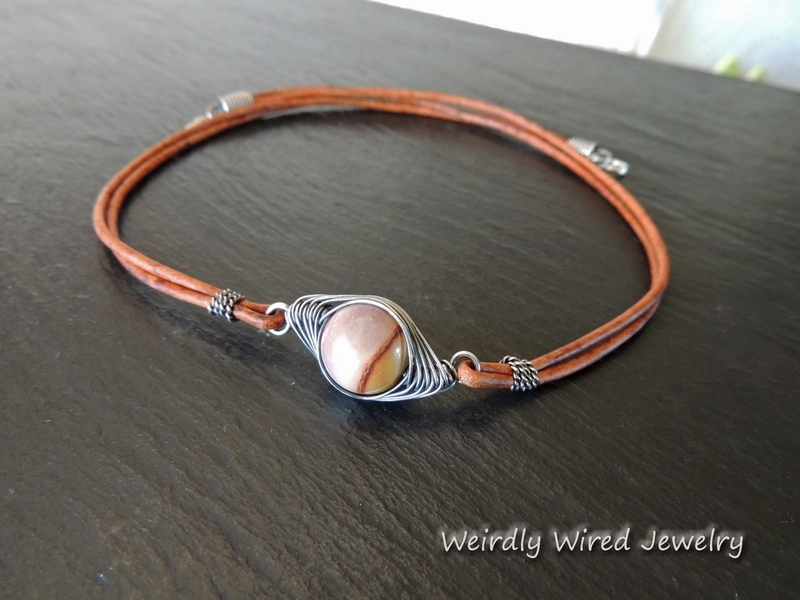 Silver Orb with Copper - send email. 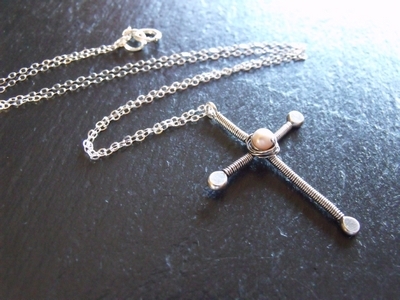 Sterling Wrapped Cross with Pearl - send email. Silver Cross with Pearl - send email. Carnelian and Obsidian Necklace - send email. 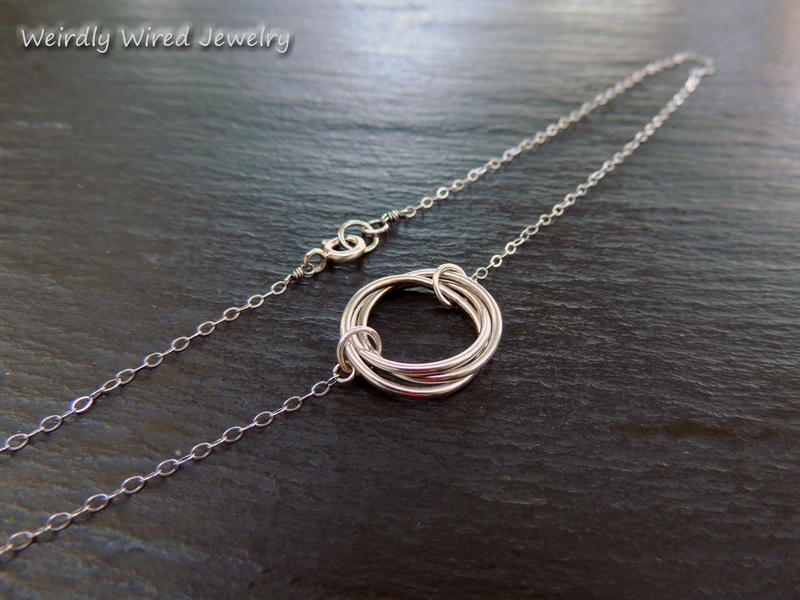 Twisted Copper and Sterling Circle Necklace - send email. 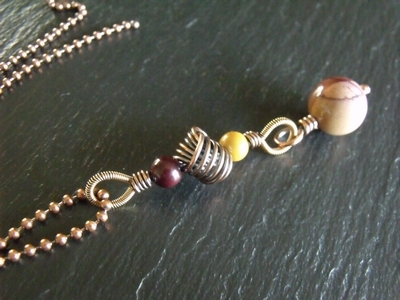 Hessonite Lampwork and Copper Necklace - send email. 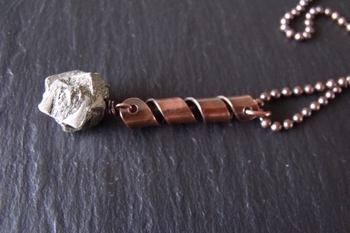 Copper Coil and Pyrite Pendant - send email. 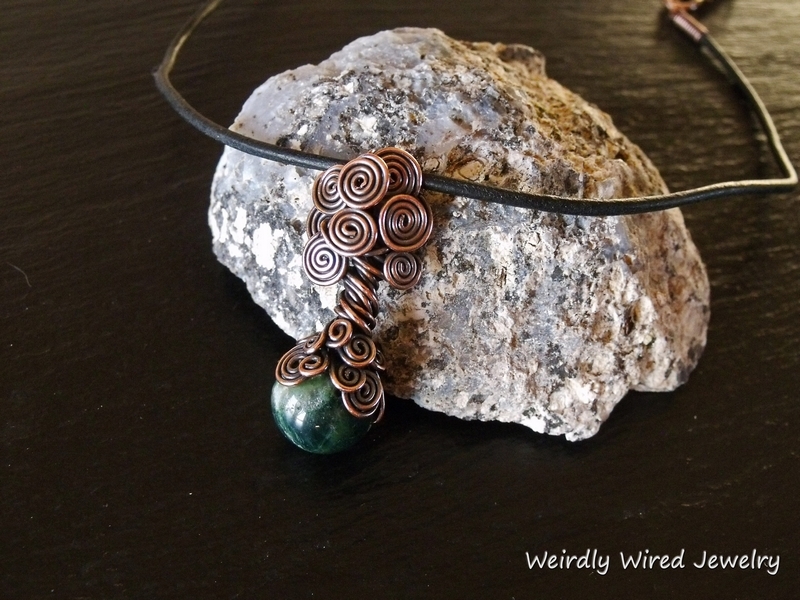 Copper Squiggle Pendant Two - send email. Labradorite Garden Necklace - send email. Copper Keychain Pendant - send email. Andalusite Tsavorite Vine Pendant - send email. Agates and Turquoise Necklace - send email. Lapis Lazuli and Copper Necklace - send email. 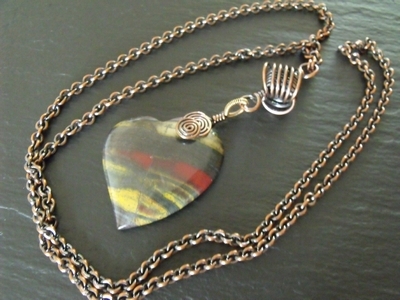 Cripple Creek Jasper Necklace - send email. Silver Orb Necklace - send email. Tourmaline Pearl Paisley Pendant - send email. 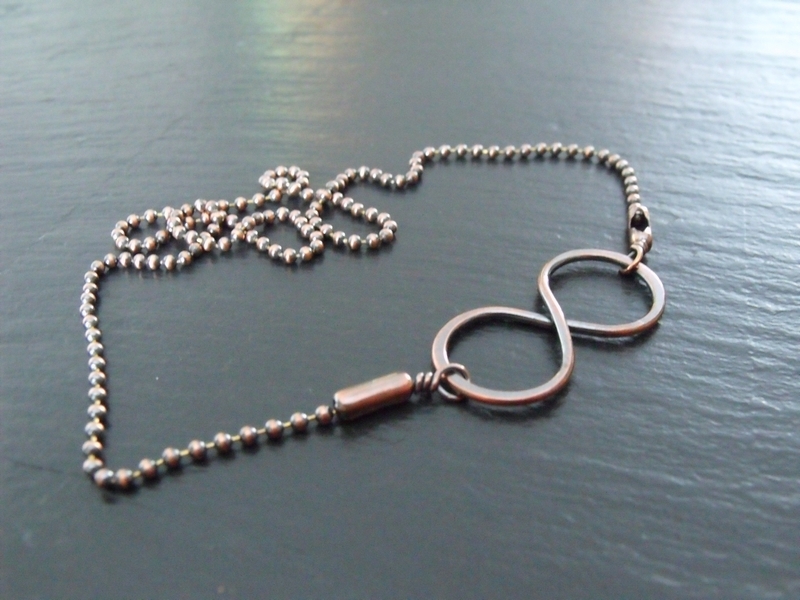 Sterling Infinity Pendant - send email. 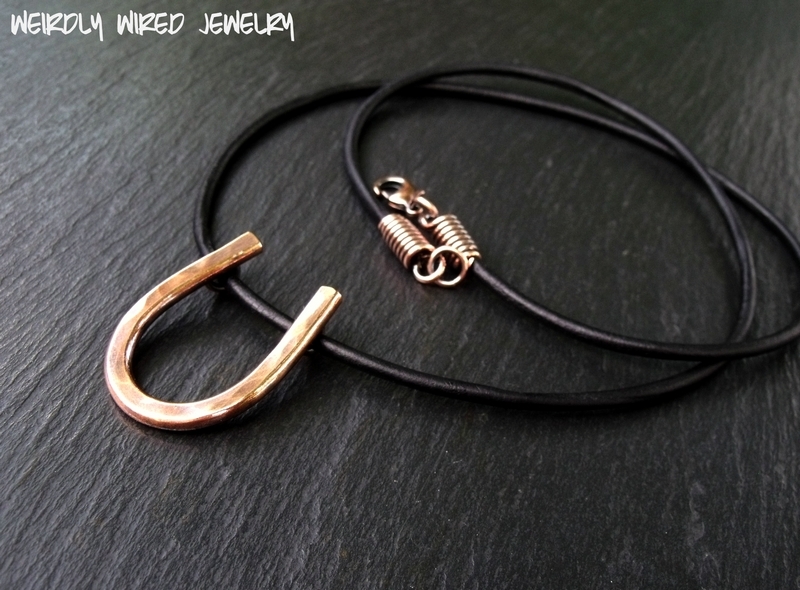 Twisted Copper Heart - send email. Crab Fire Agate and Copper Necklace - send email. Copper Cross - send email. Labradorite Crescent Necklace - send email. 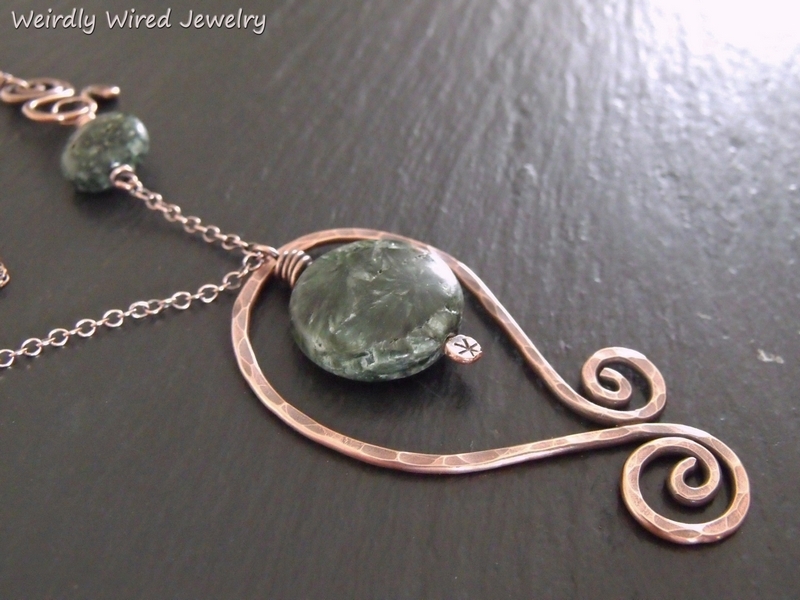 Riveted Copper Tsavorite Pendant - send email. Hematite Necklace - send email. 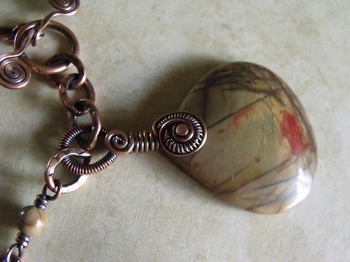 Picture Jasper and Copper Necklace - send email. Copper and Labradorite Paisley Necklace - send email. Big Stone Necklace - send email. 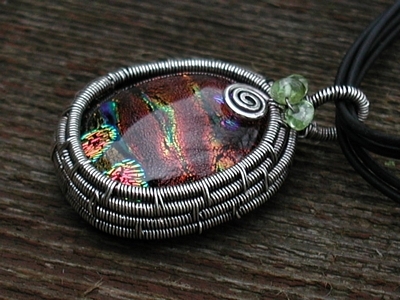 Tourmaline Paisley Pendant - send email. Striped Agate Donut Necklace - send email. 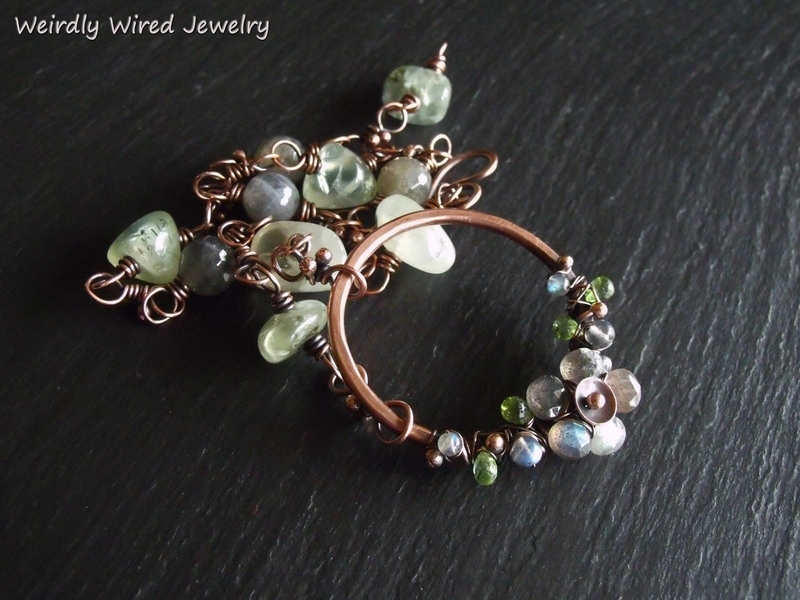 Multi-Gemstone Cluster Copper Necklace - send email. 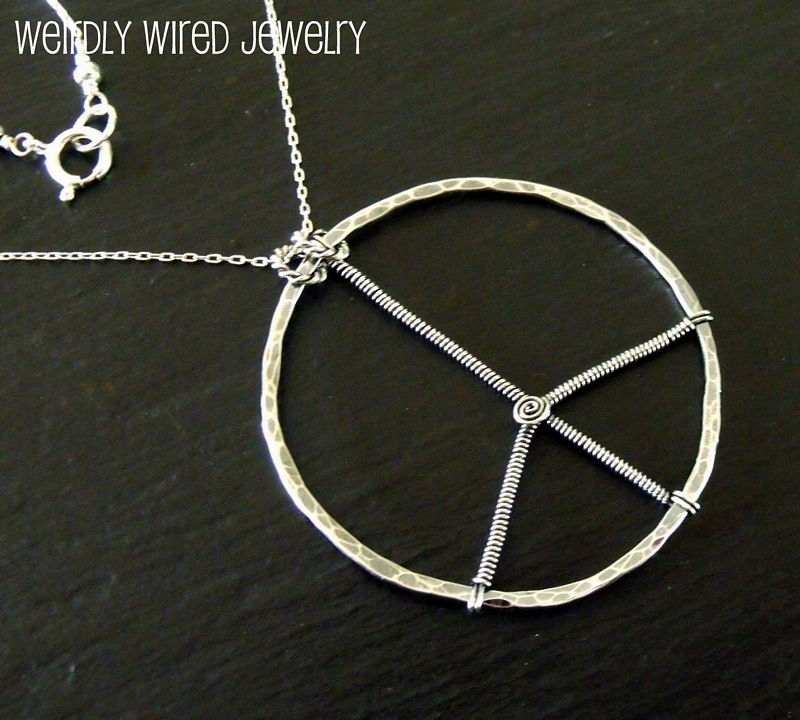 Peace Symbol Necklace - send email. Shiva Shell Copper Necklace - send email. 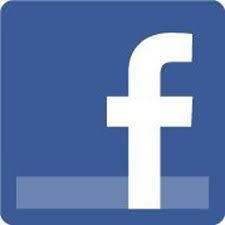 Copper Vine Circle - send email. Pyrite Quartz Copper Pendant - send email. 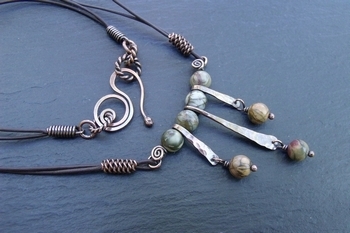 Lampwork Mixed Metal Necklace - send email. Copper Vine Necklace - send email. 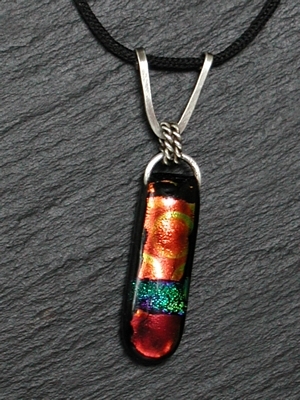 Stripes Dichroic Pendant - send email. 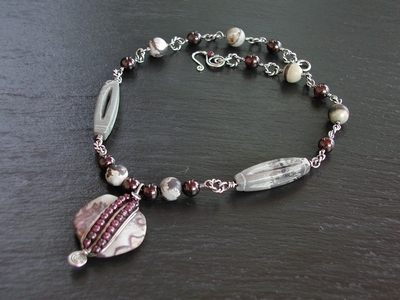 Artistic Jasper and Garnet Necklace - send email. Larkavite and Moonstone Necklace - send email. Sky Blue Topaz Necklace - send email. Aqua Chalcedony Flower - send email. Brioche Agate Pendant - send email. 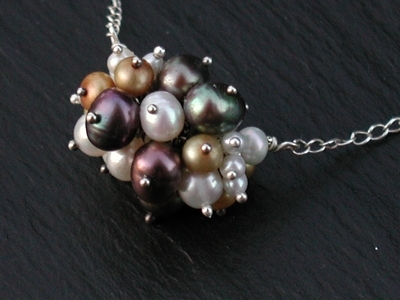 Pearl Cluster Necklace - send email. 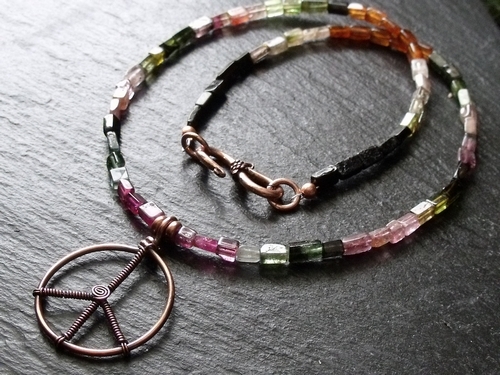 Copper Peace Tourmaline Necklace - send email. Hypersthene Copper Tourmaline Pendant - send email. Triangle Dichrioc Pendant - send email. 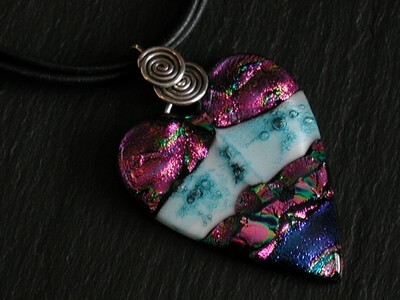 Dichroic Heart Pendant - send email. Labradorite Triangle Pendant - send email. Hypersthene Pendant - send email. Copper Bone Turquoise Necklace - send email. 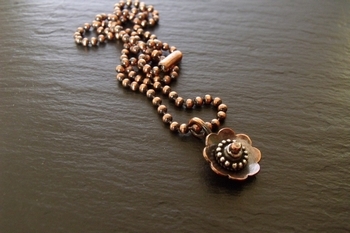 Lotus Flower Necklace - send email. Labradorite Chip Tree Pendant - send email. 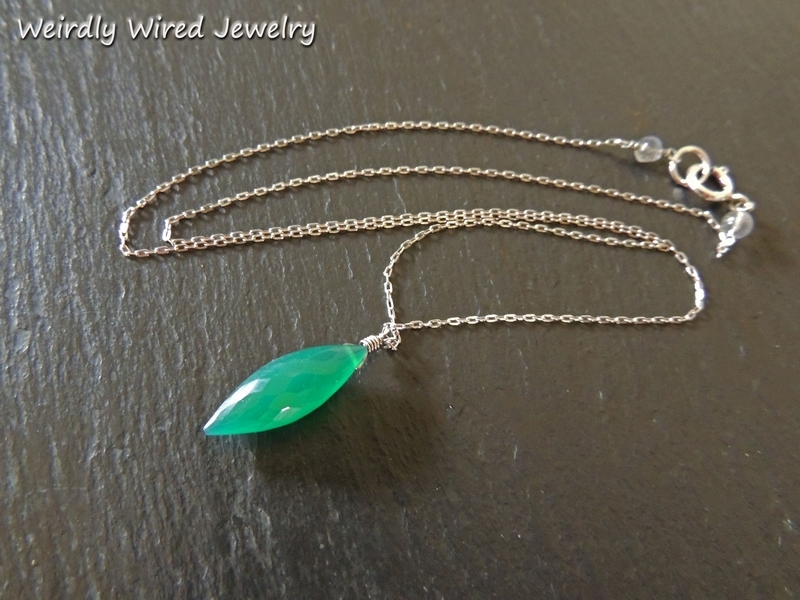 Green Dichroic Spiral Necklace - send email. 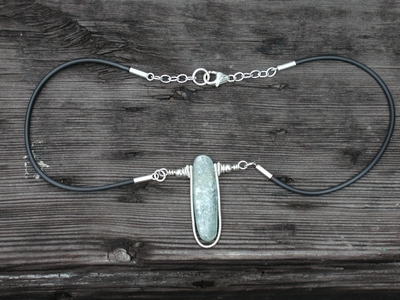 Amazonite Obsidian Necklace - send email. Eagle Eye Jasper Obsidian Necklace - send email. 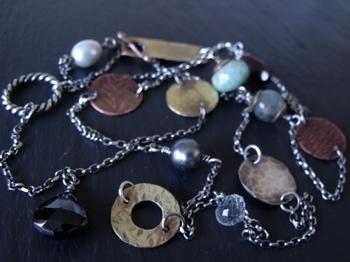 Hematite Pearl and Labradorite Necklace - send email. 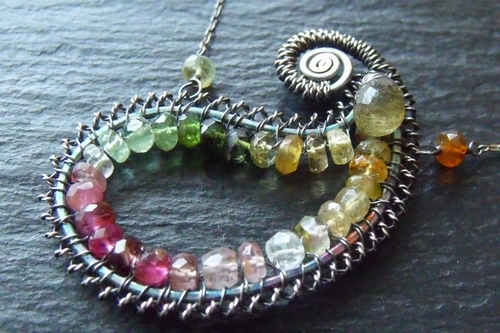 Tourmaline Circle Pendant - send email. 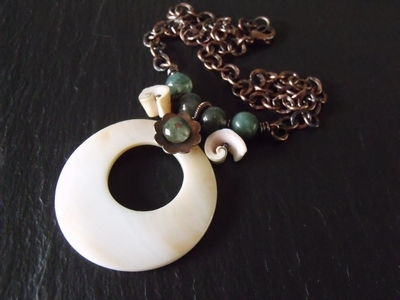 Fossilized Coral Mixed Metal Necklace - send email. 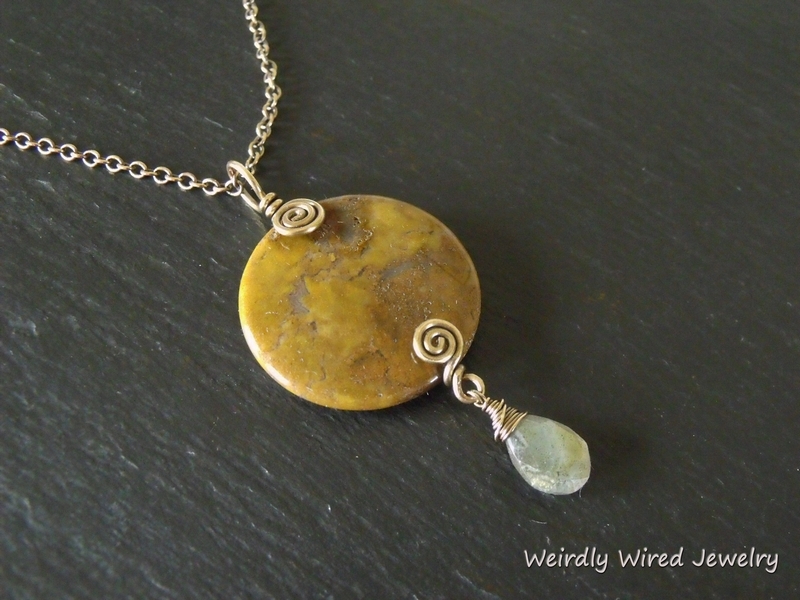 Crazy Lace with Citrine and Labraorite Necklace - send email. 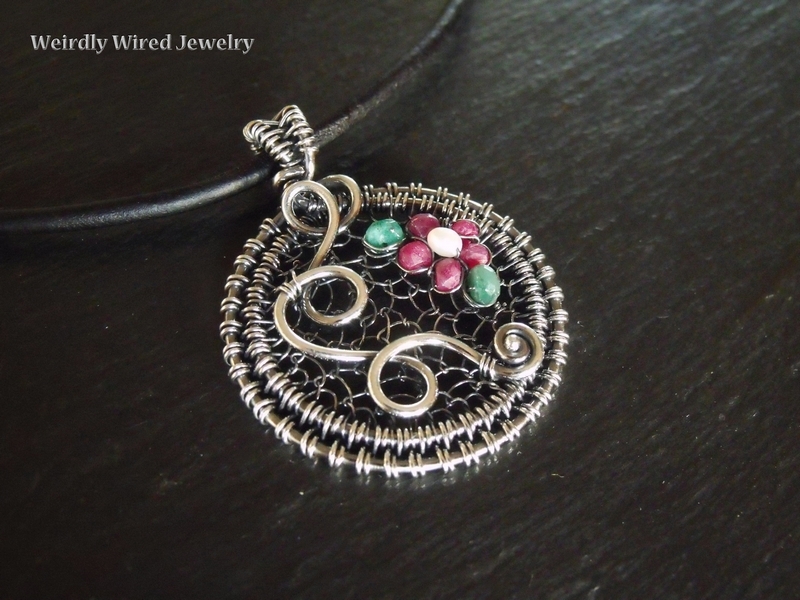 Basket Weave Dichro Pendant - send email. 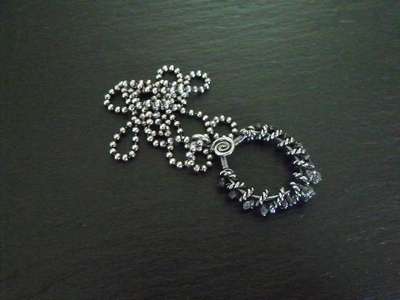 Sterling Byzantine Necklace - send email. Coffee Jasper and Apatite Necklace - send email. 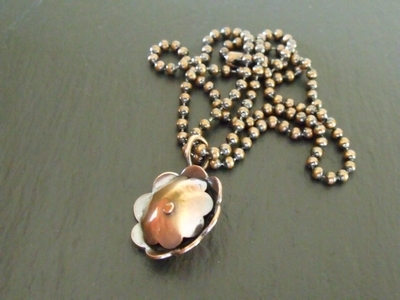 Coffee Jasper and Pearl Flower Necklace - send email. 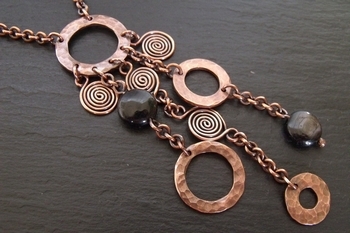 Copper Byzantine and Kyanite Necklace - send email. Copper Charm Necklace - send email. 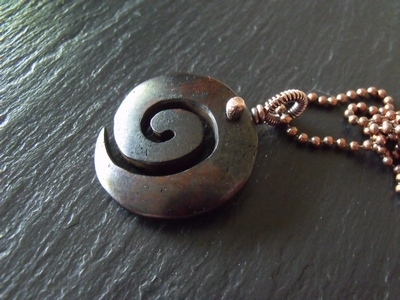 Copper Spiral Free Form Pendant - send email. Crab Fire Agate, FWP and Garnet Necklace - send email. 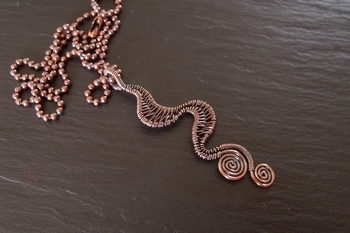 Double Spiral Copper Necklace - send email. 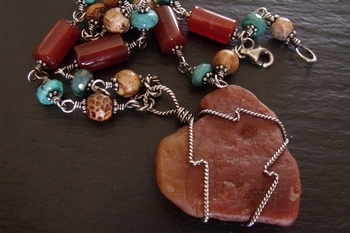 Fossalized Coral Mixed Stone Necklace - send email. 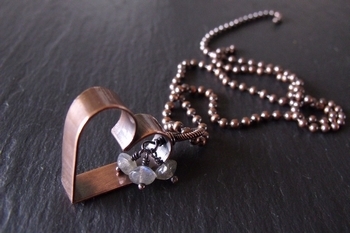 Garnet, Labradorite and Sunstone Heart Necklace - send email. 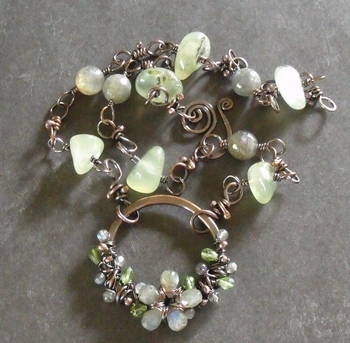 Green Kyanite, Prehnite and FWP Necklace - send email. 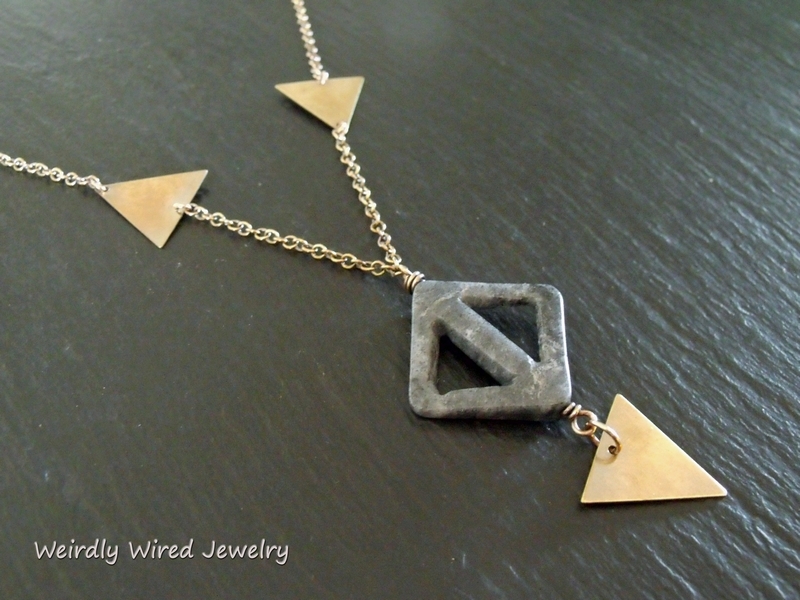 Triangle Labradorite Necklace - send email. 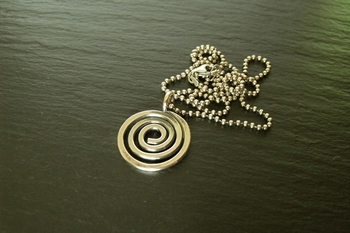 Dichro Pendant - send email. Mookiate Jasper Leaves Necklace - send email. 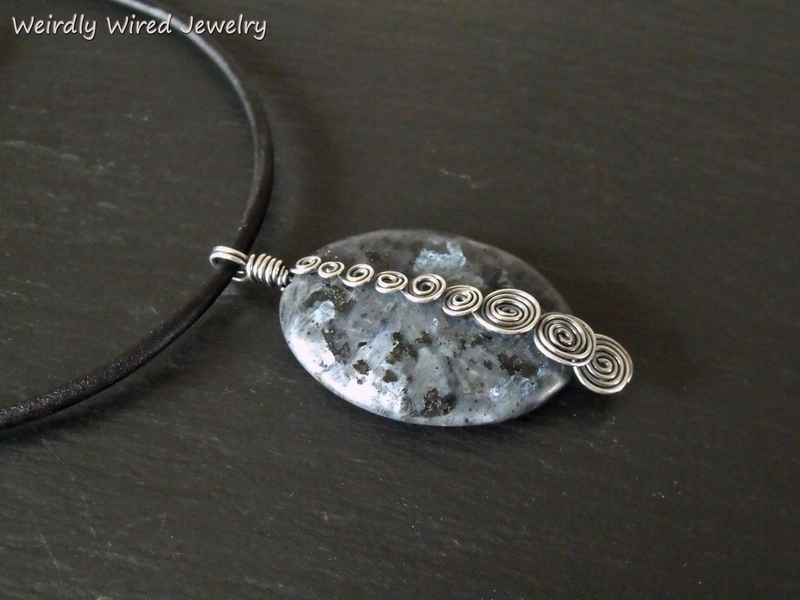 Ocean Jasper Herringbone Pendant - send email. Pietrisite and Chalcedony Necklace - send email. Seraphanite and FWP Set - send email. Sodalite and Hessonite Set - send email. 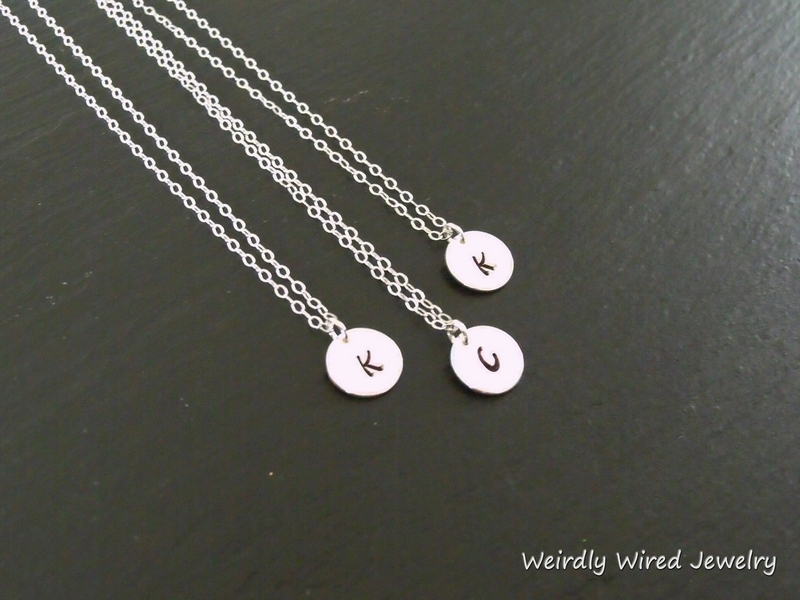 Top Drilled FWP Necklace Set - send email. Turquoise and Mookiate Vine Necklace - send email. 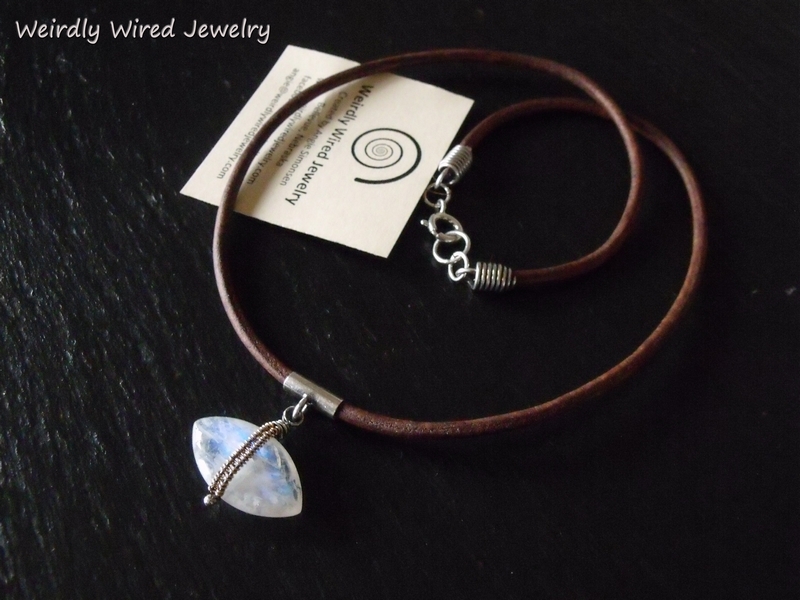 Twisted Ring Earth Tones Necklace - send email. Amanda's Wedding Necklace - send email. Amethyst, Peridot and FWP Pendant - send email. Chalcedony and Apatite Chip Necklace Set - send email. 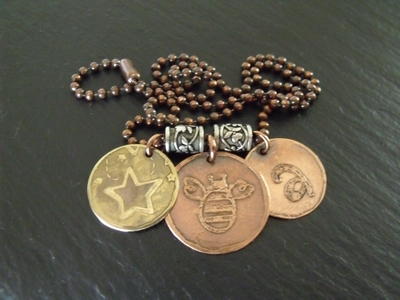 Copper Charms Necklace Set - send email. Copper Mookiate Donut Necklace - send email. 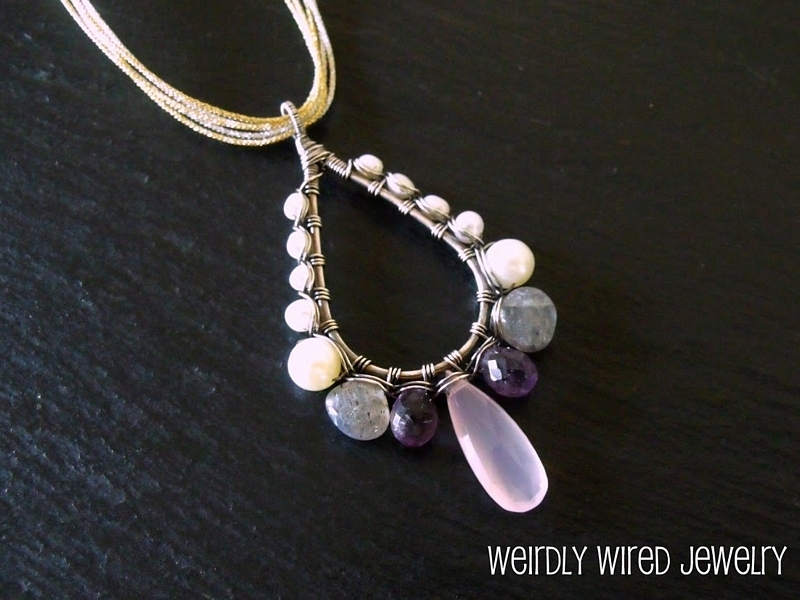 Crazy Lace, Chalcedony and Citrine Necklace - send email. Fancy Jasper and Moss Agate Flower Necklace - send email. Hessonite Sterling Coil Necklace - send email. 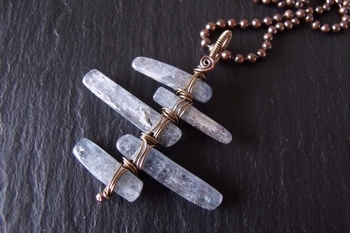 Kyanite and Sterling Necklace - send email. Kyanite Teardrop Necklace - send email. Striped Agate Necklace - send email. Cross Stone Necklace - send email. Amazonite, Orange Garnet and Black Obsidian Set - send email.